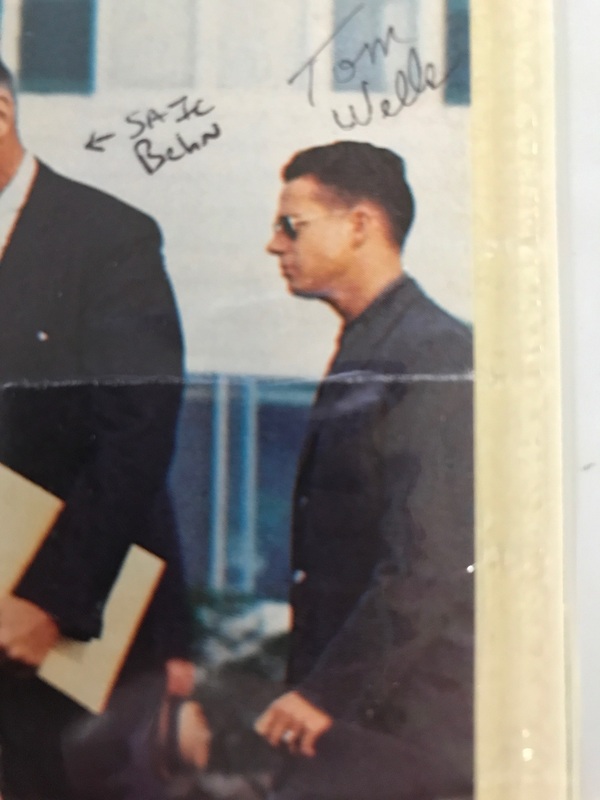 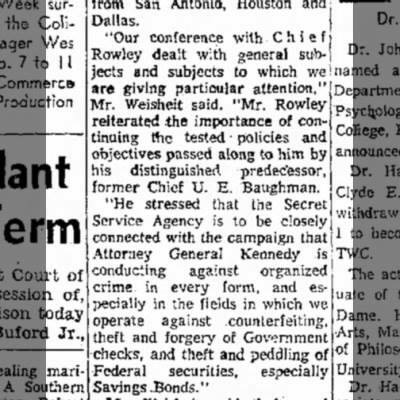 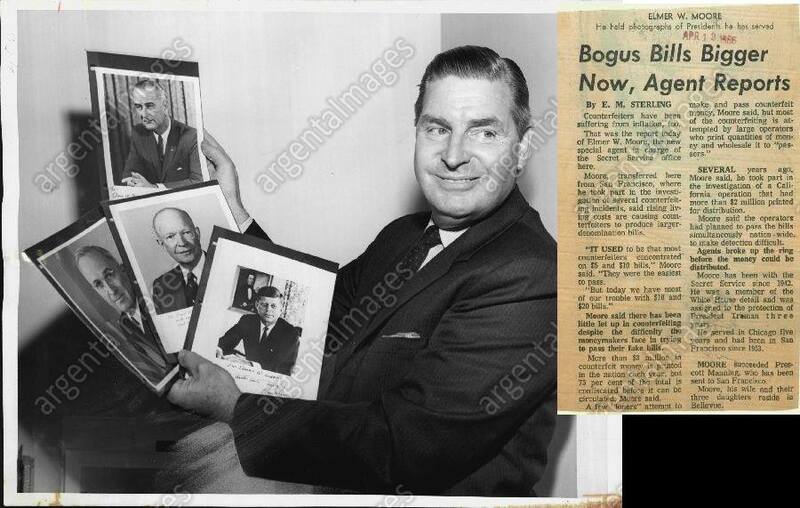 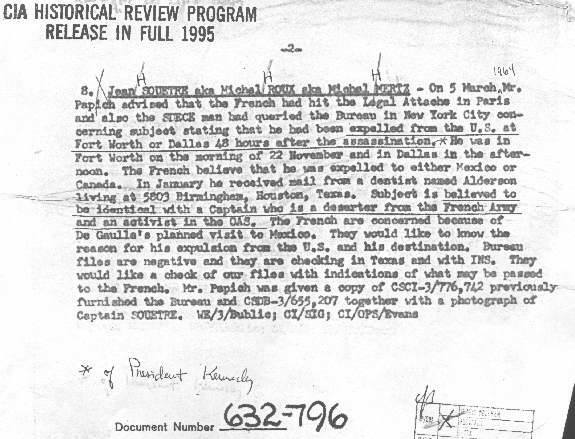 Baughman was “retired”/ fired by RFK and JFK around the very same time the Bay of Pigs debacle top CIA agents were “retired”/ fired, including Director Allen Dulles (later of Warren Commission infamy), Charles Cabell (whose brother, who we now know had CIA connections of his own, was the mayor of Dallas who rode a mere few cars behind President Kennedy on 11/22/63) and Richard Bissell. 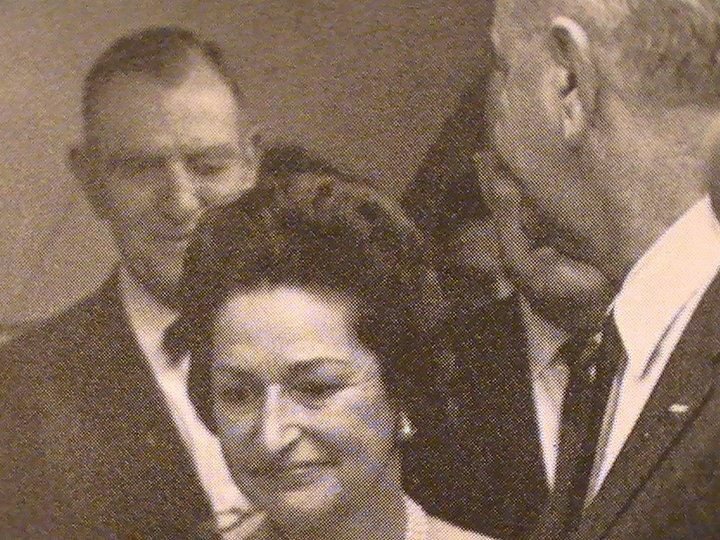 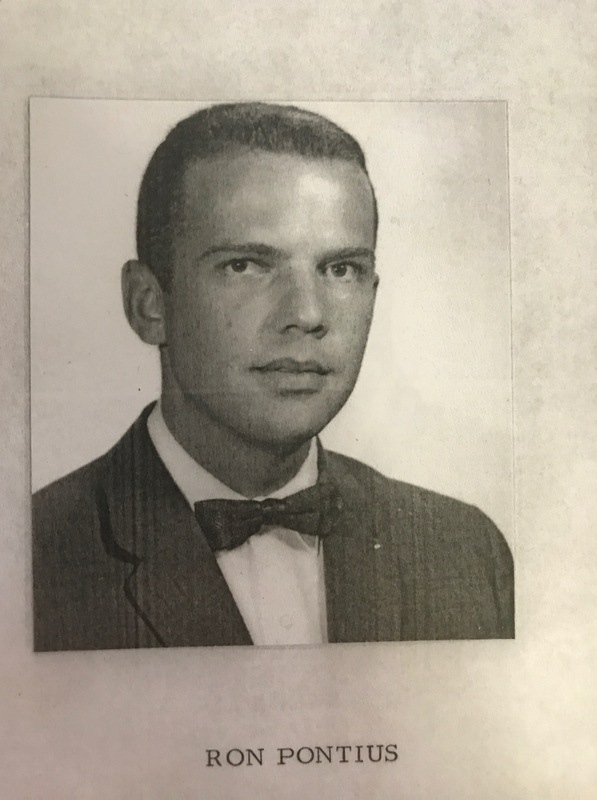 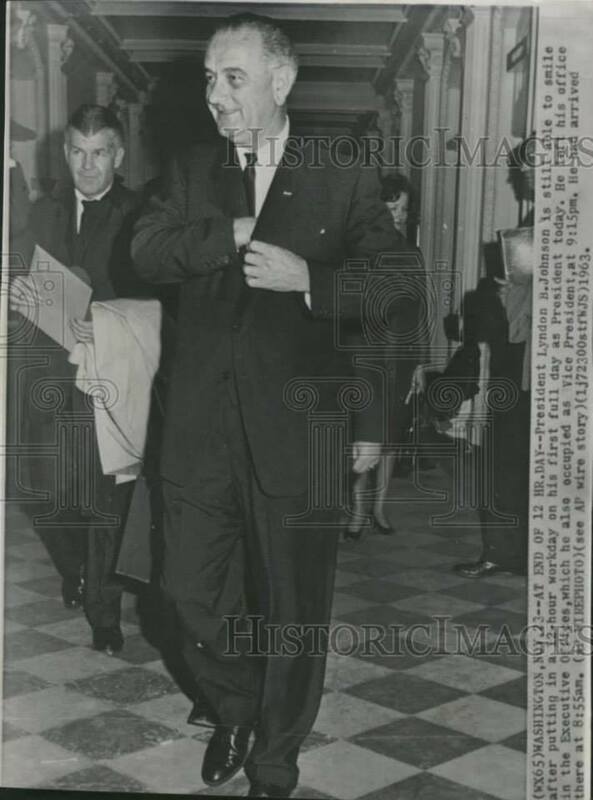 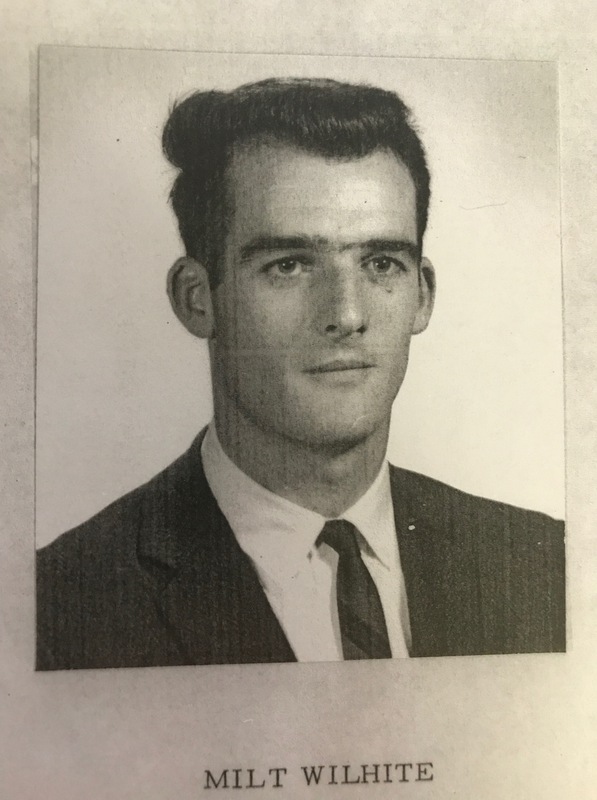 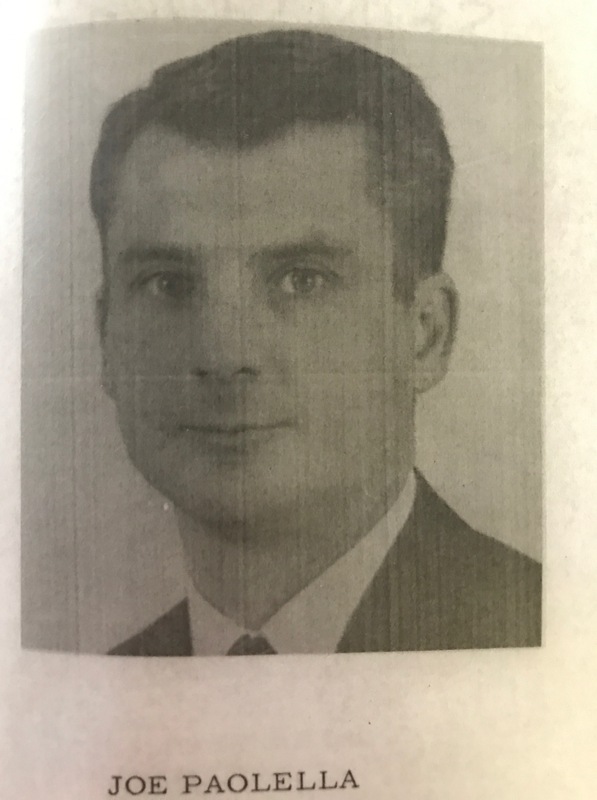 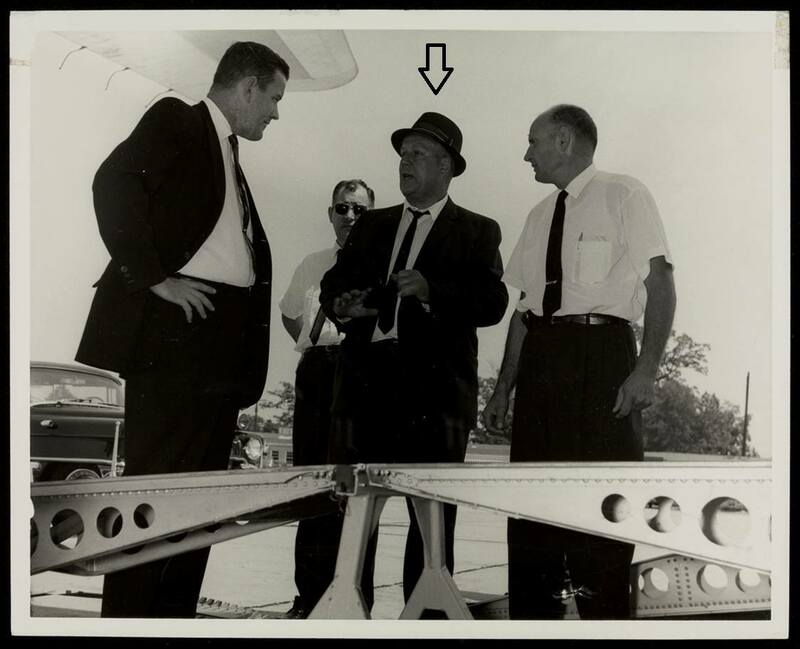 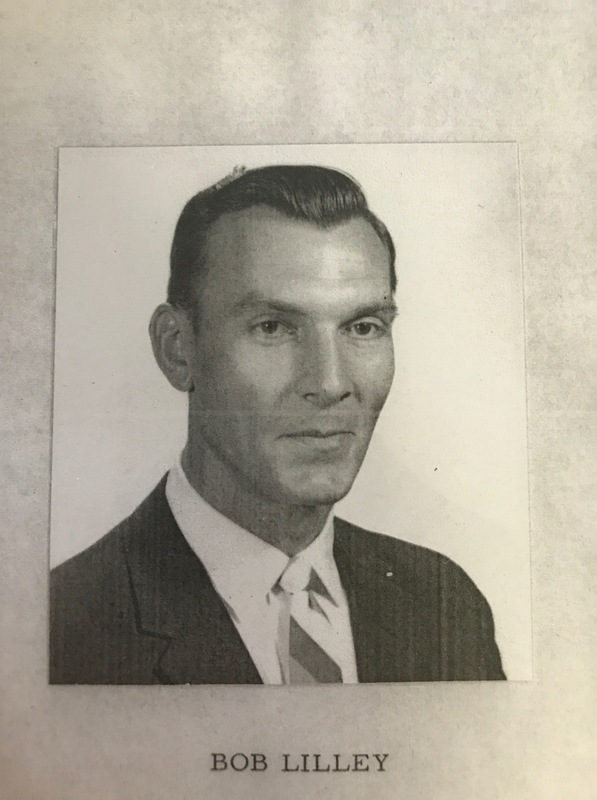 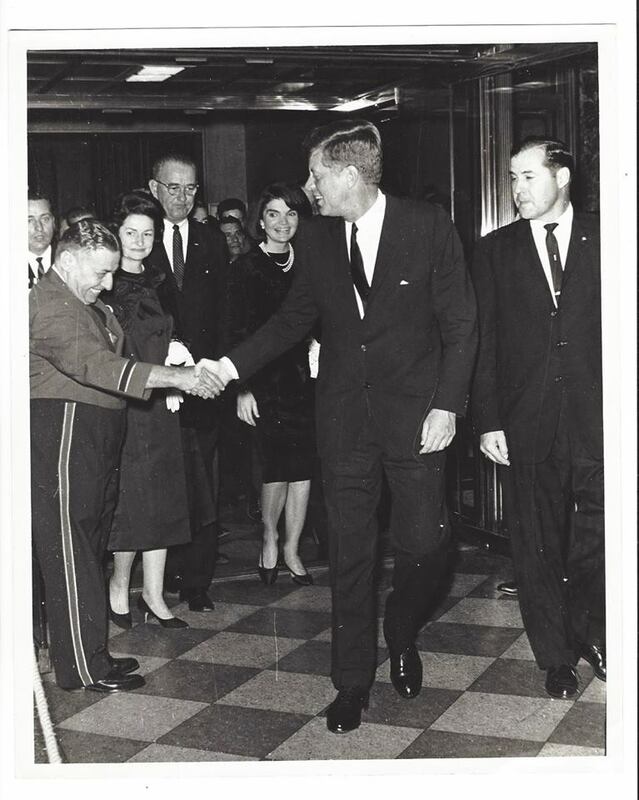 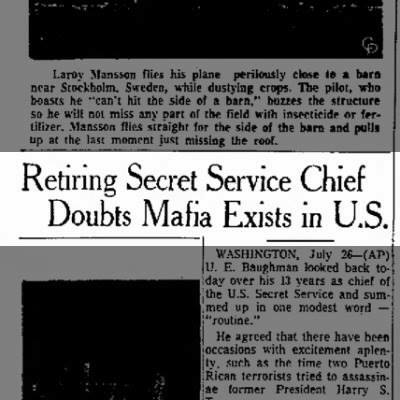 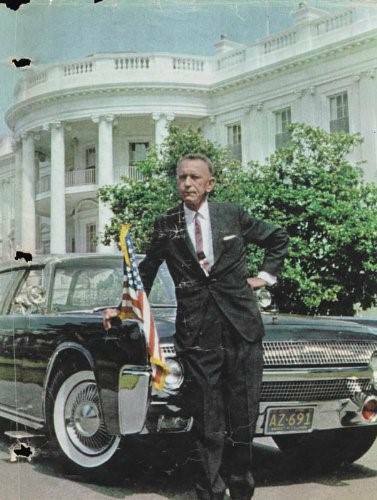 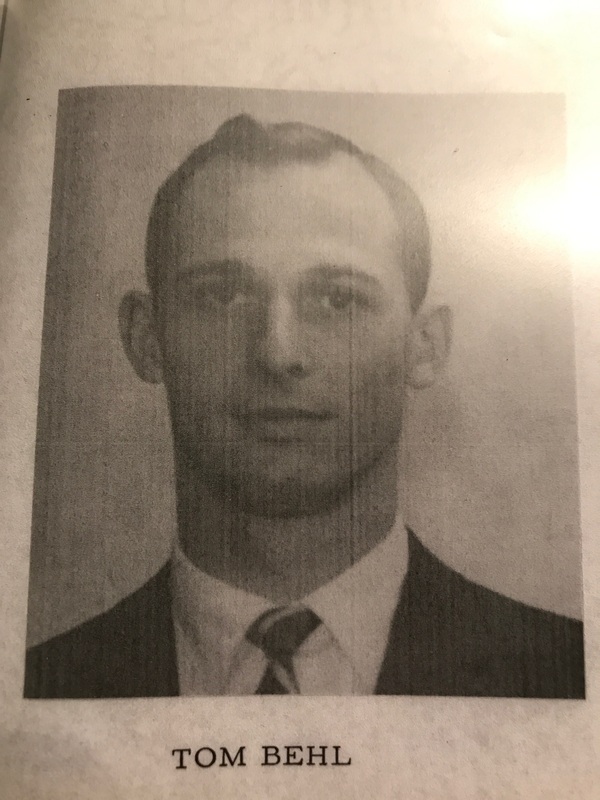 Paterni would go on to perform the limousine inspection on the night of 11/22/63 with ASAIC Floyd Boring (more on him in a moment). 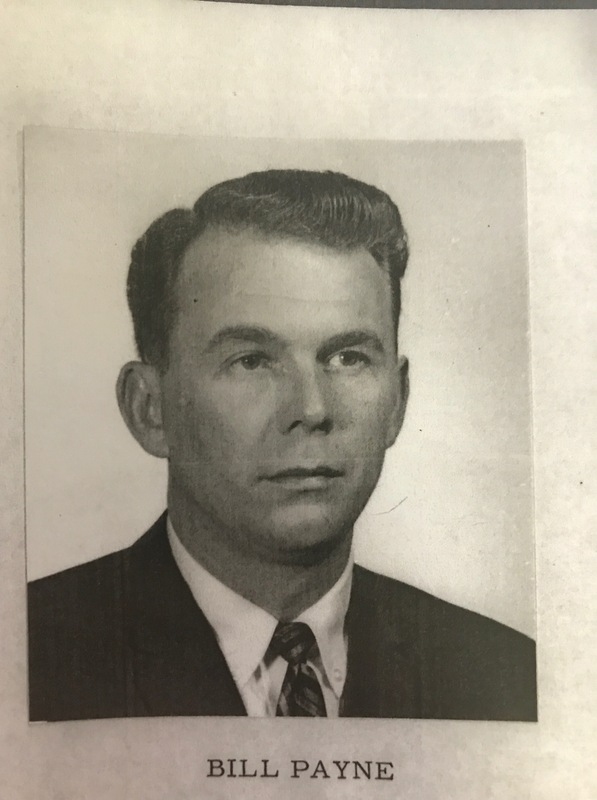 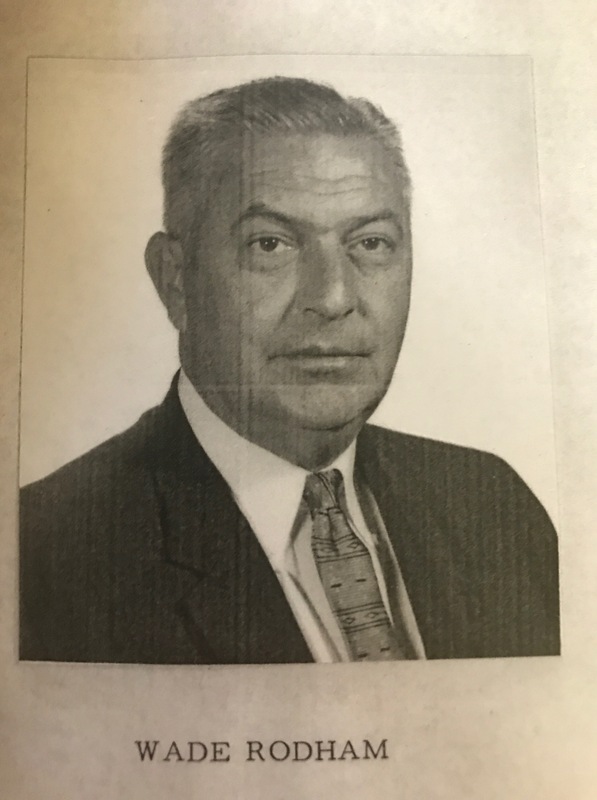 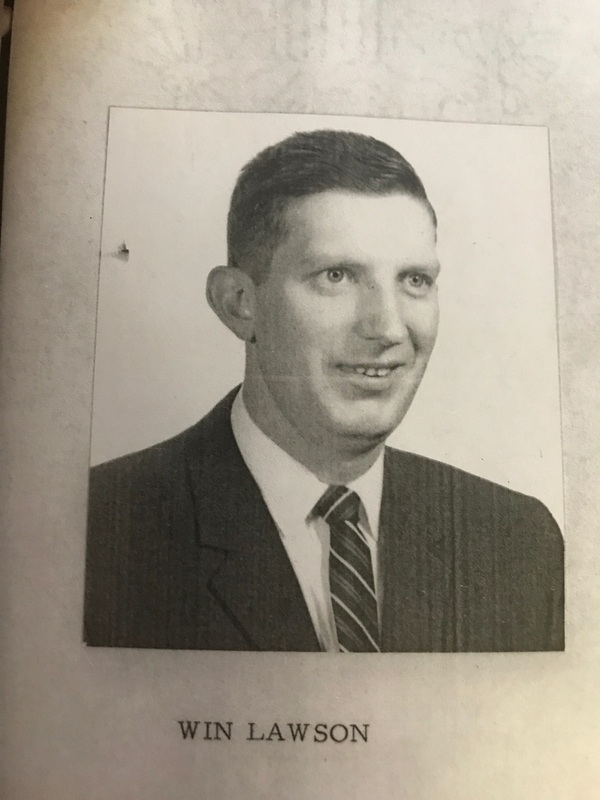 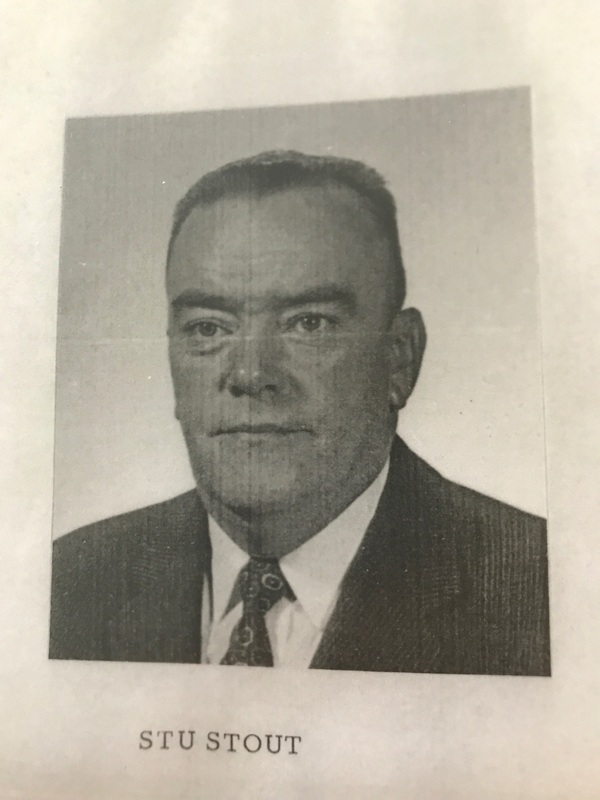 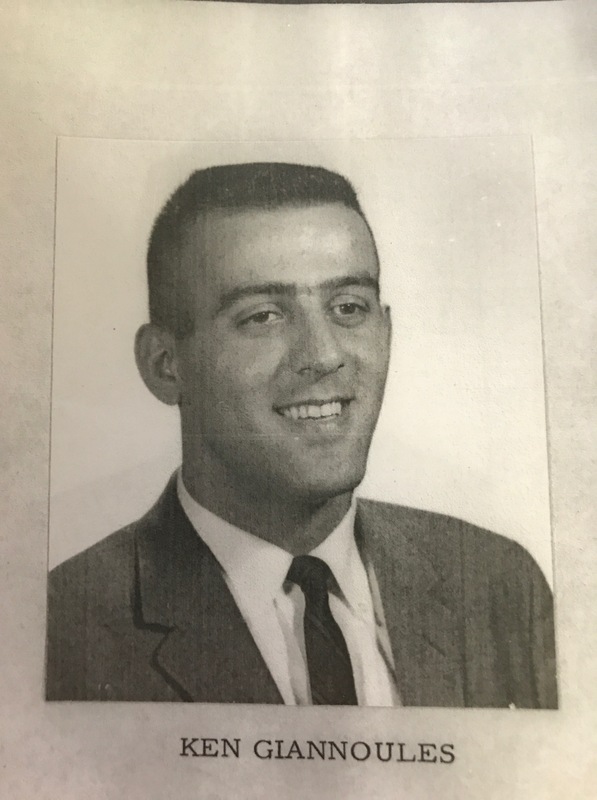 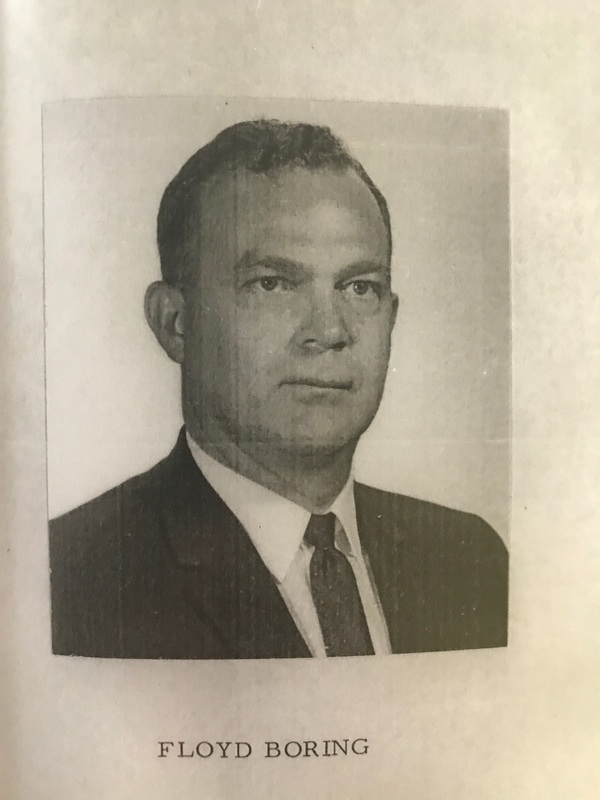 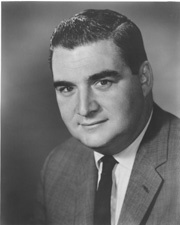 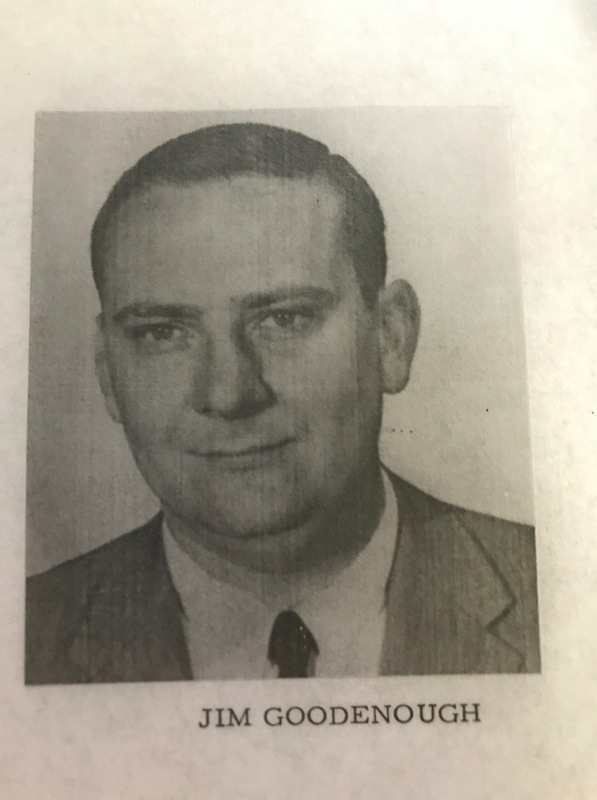 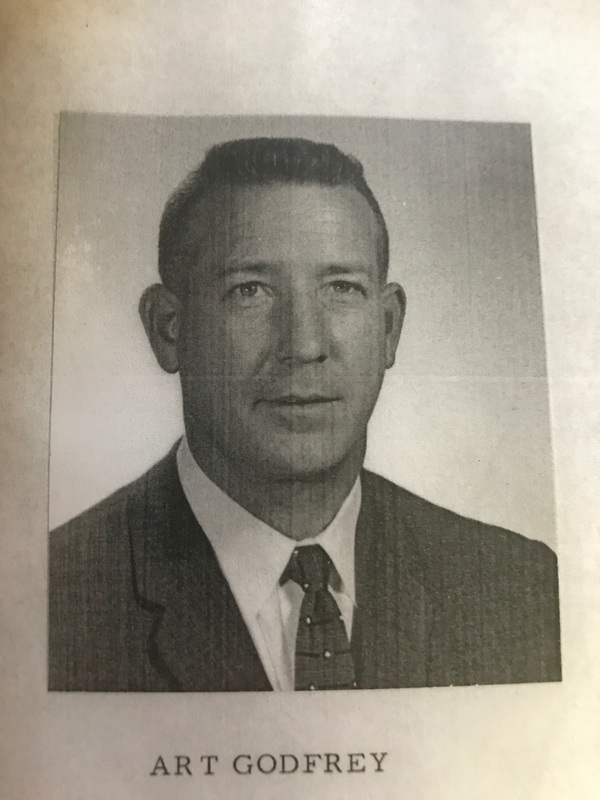 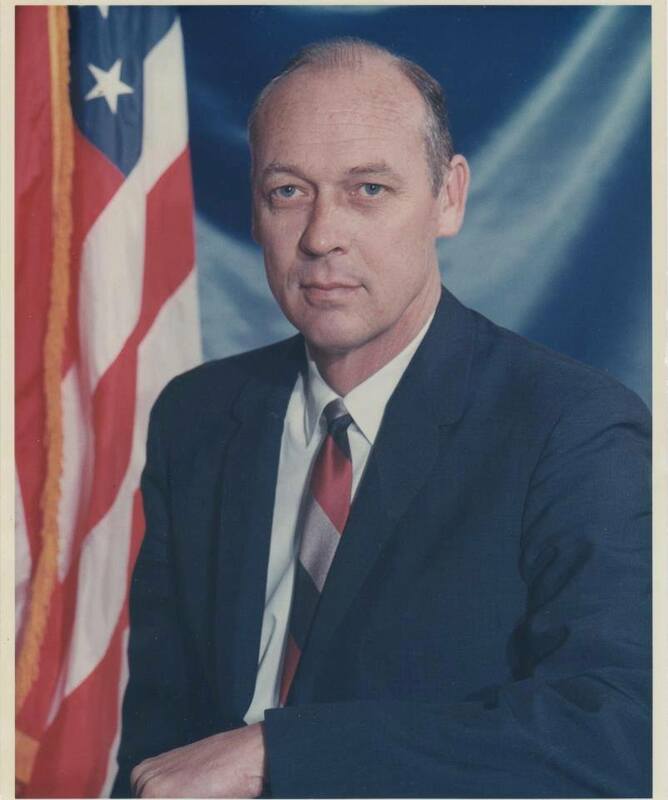 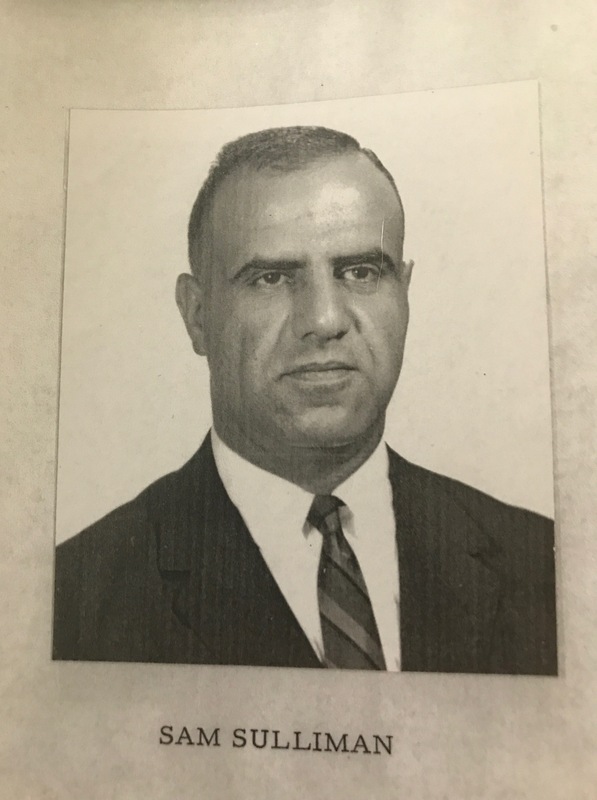 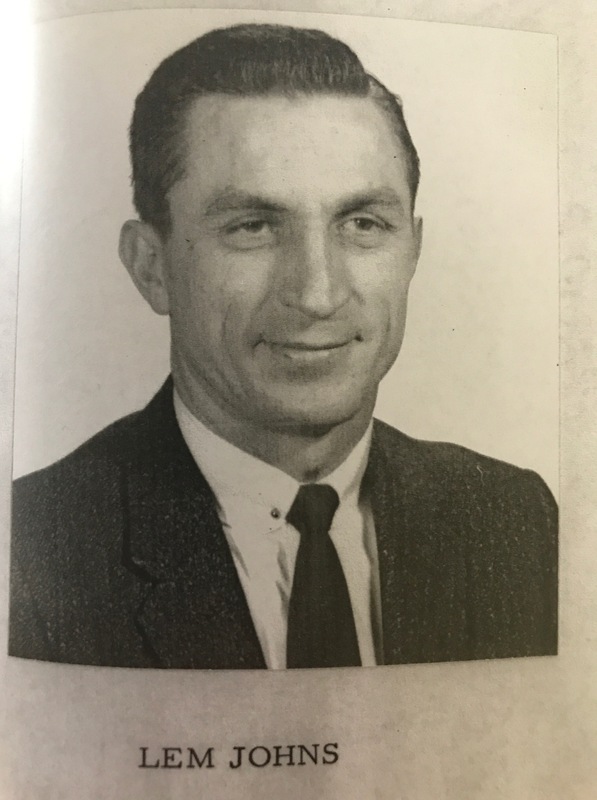 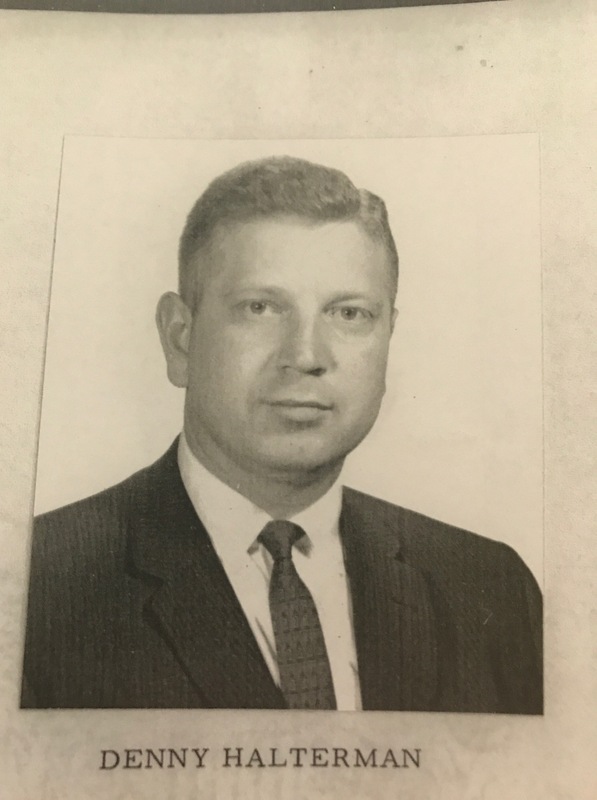 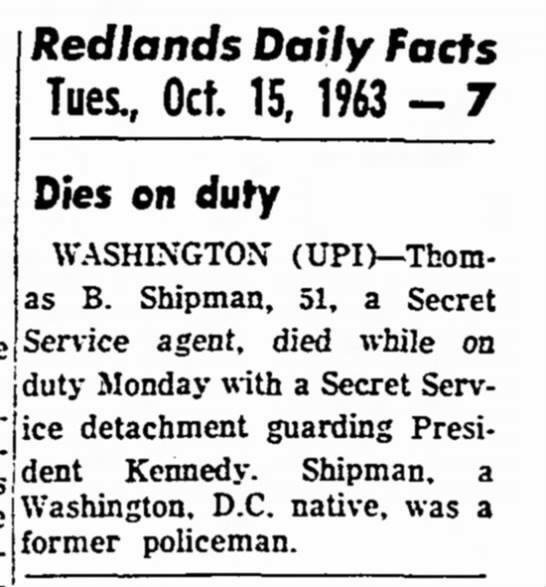 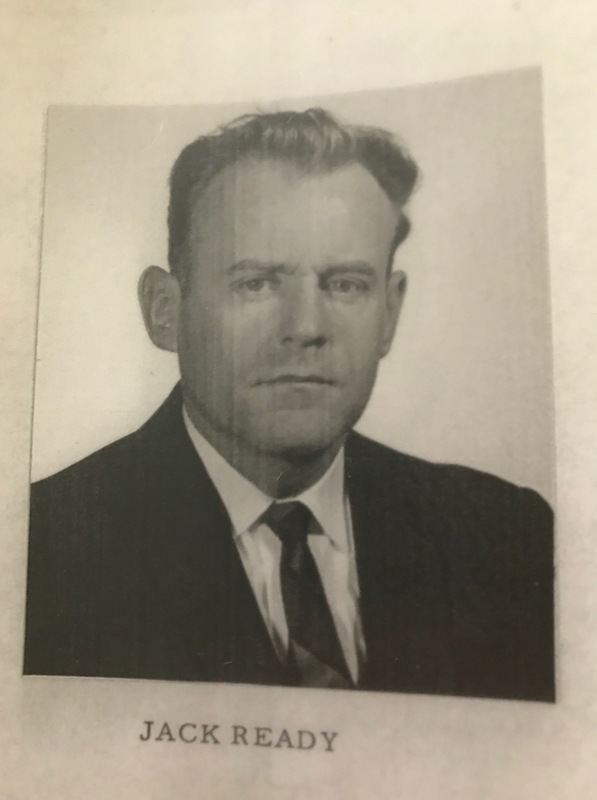 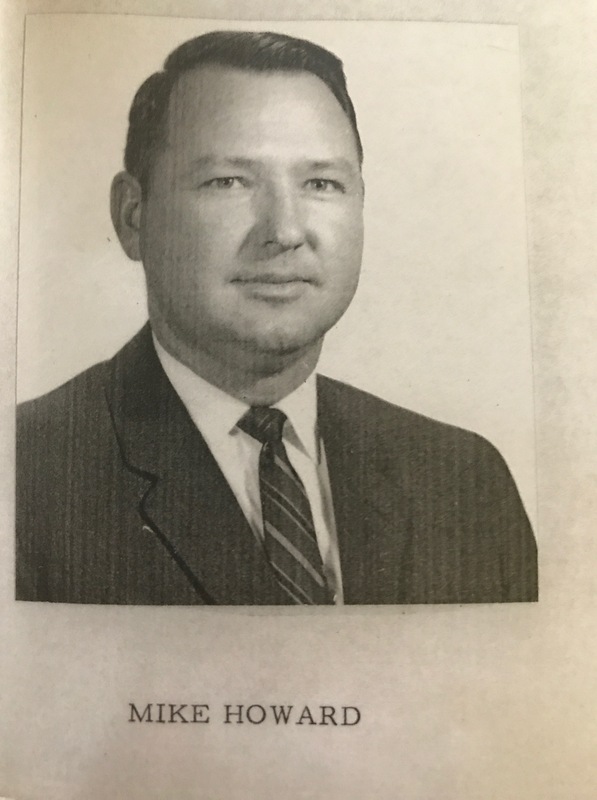 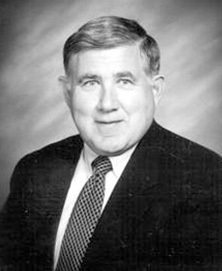 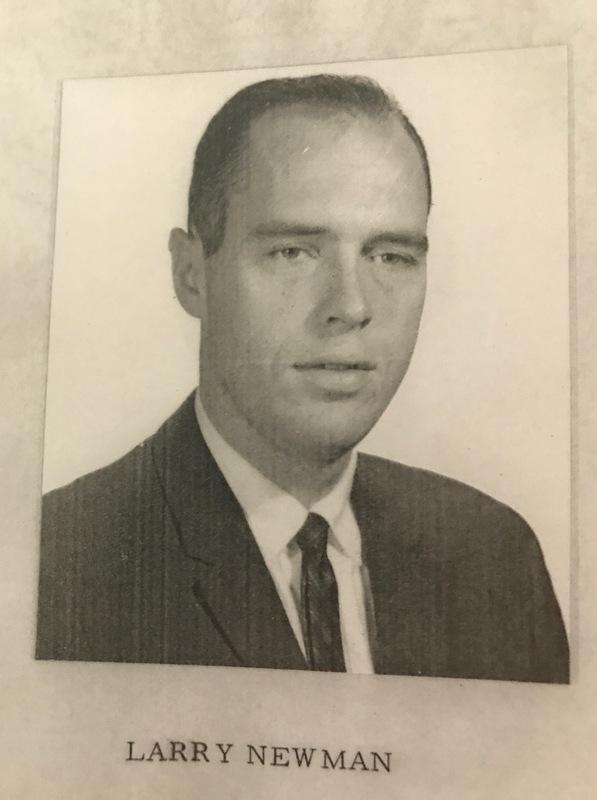 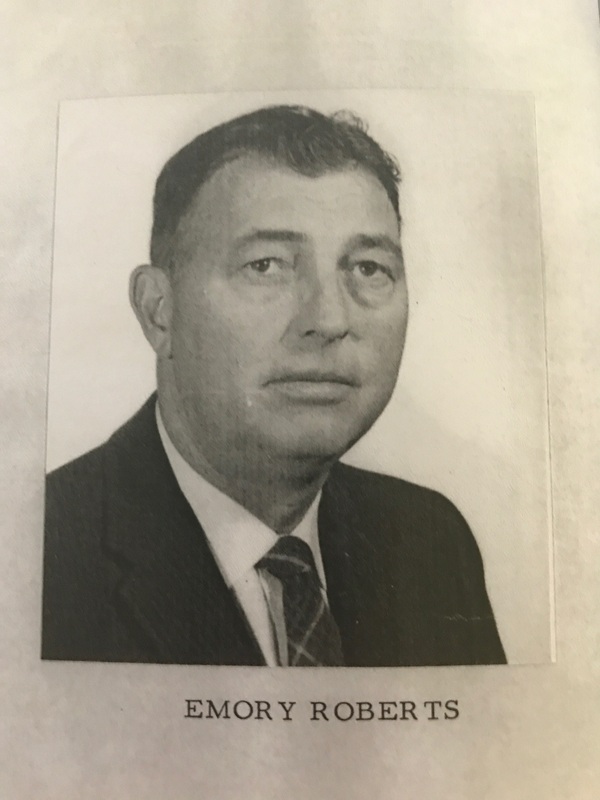 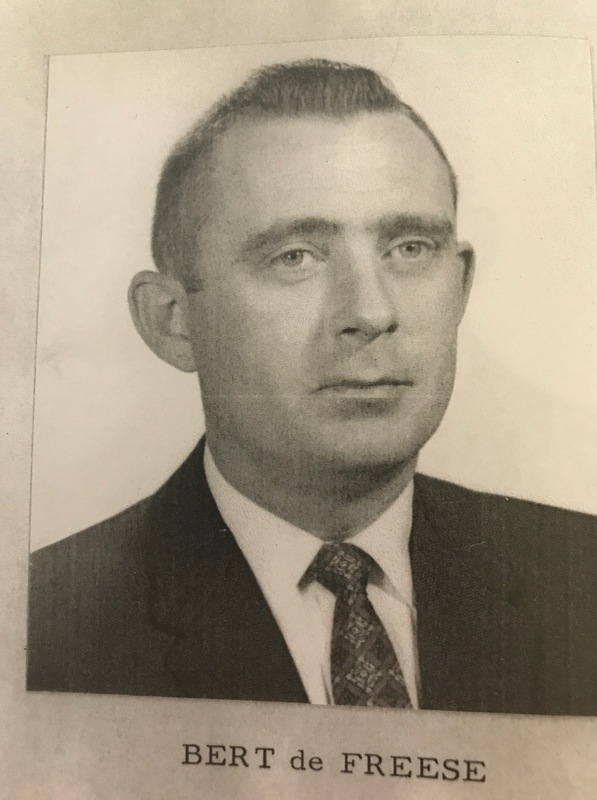 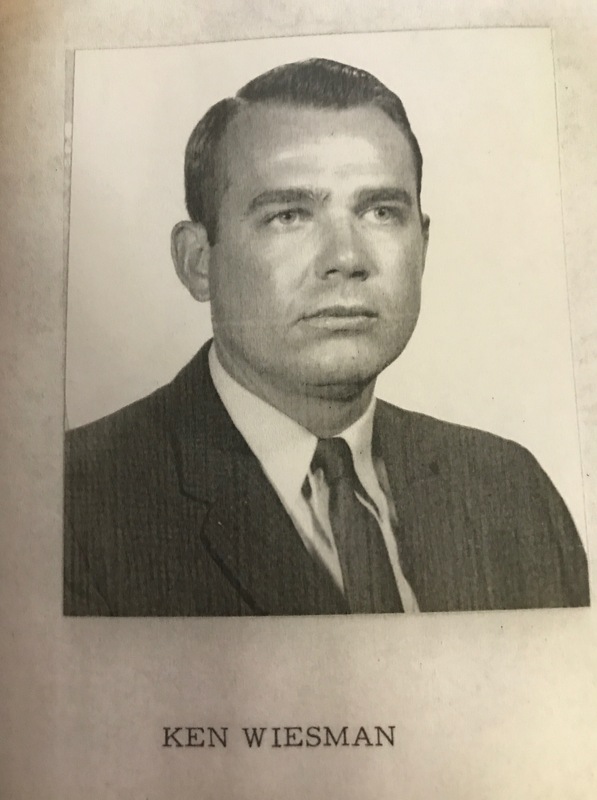 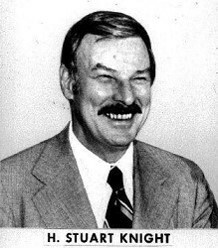 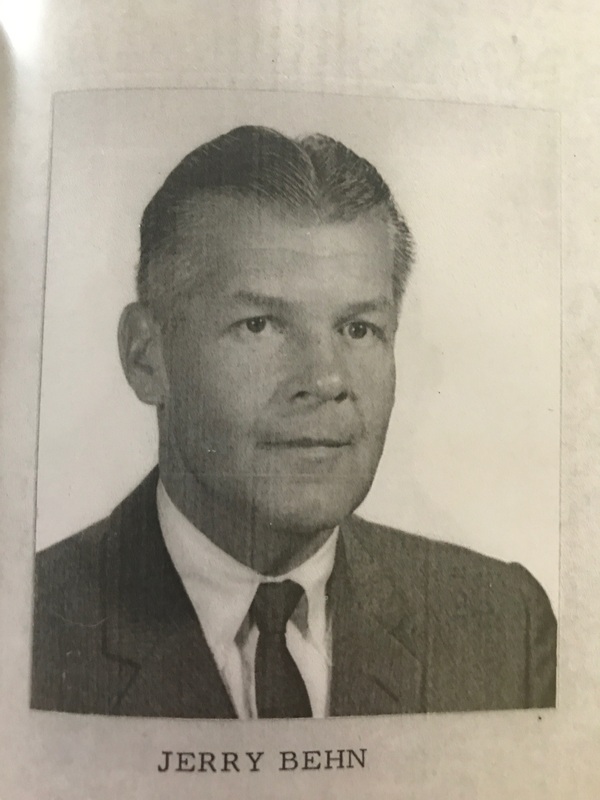 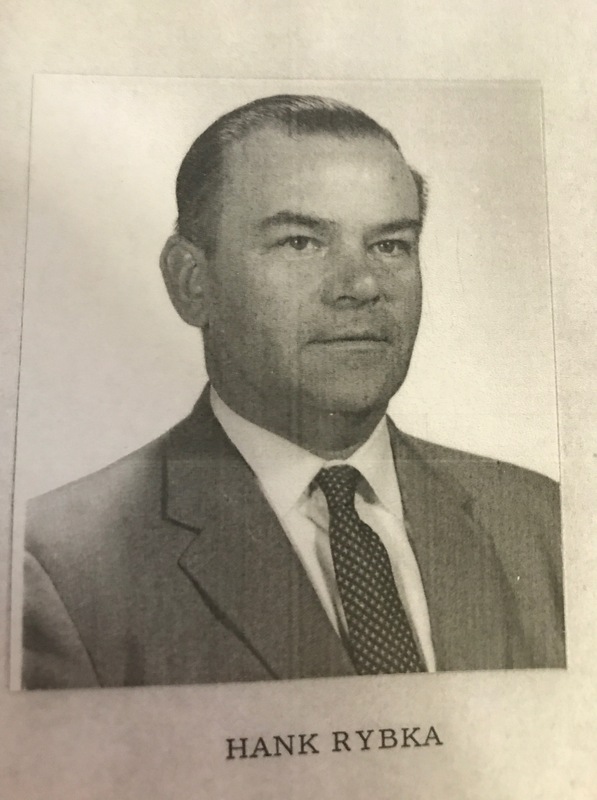 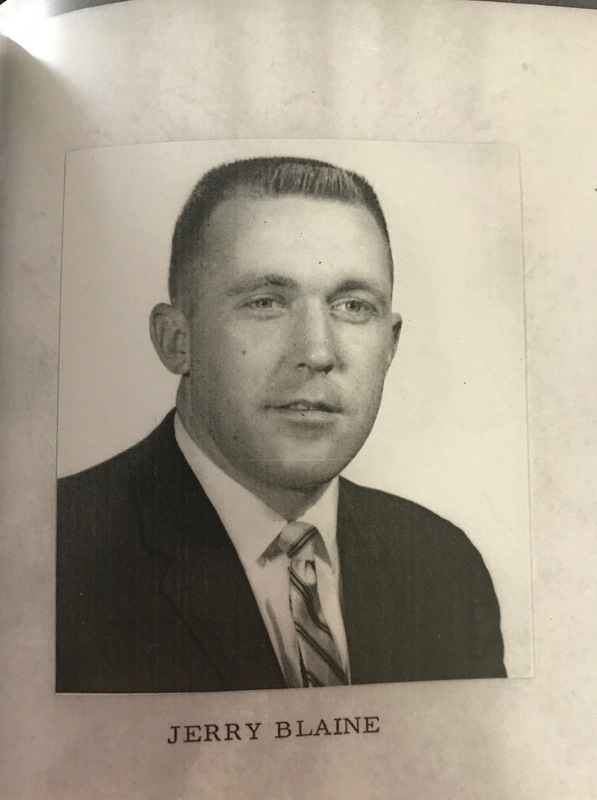 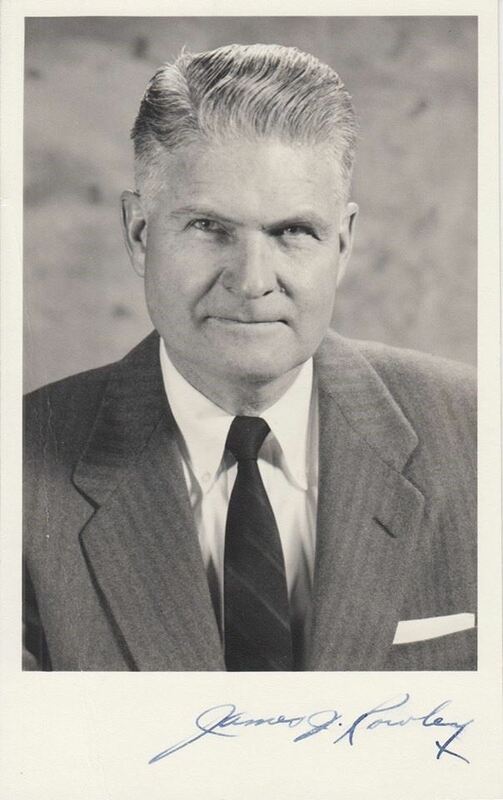 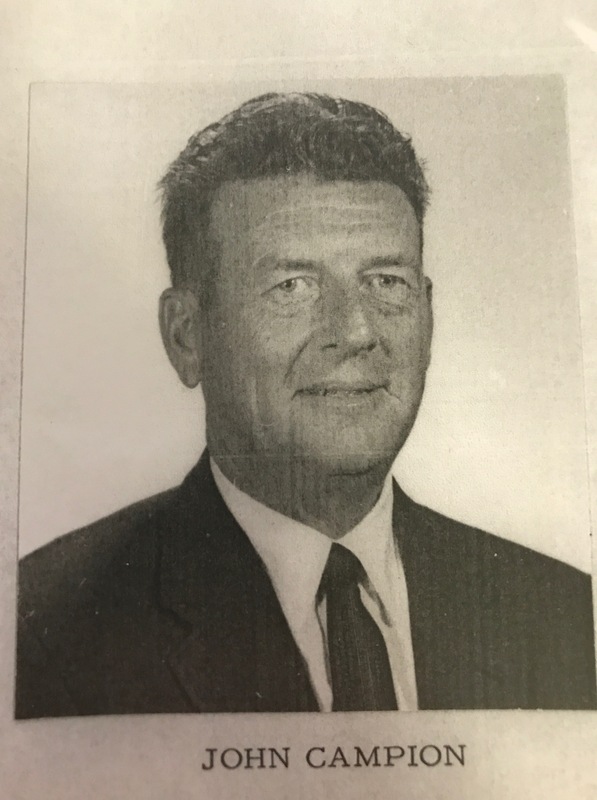 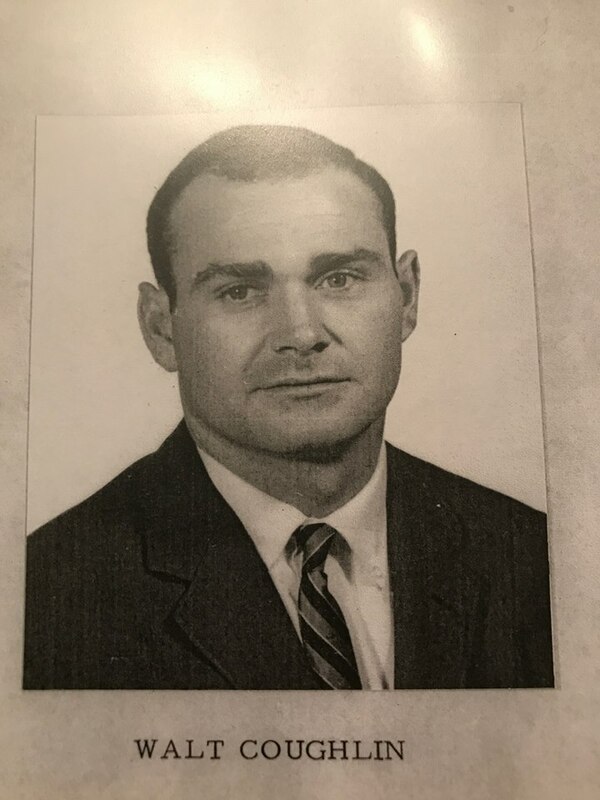 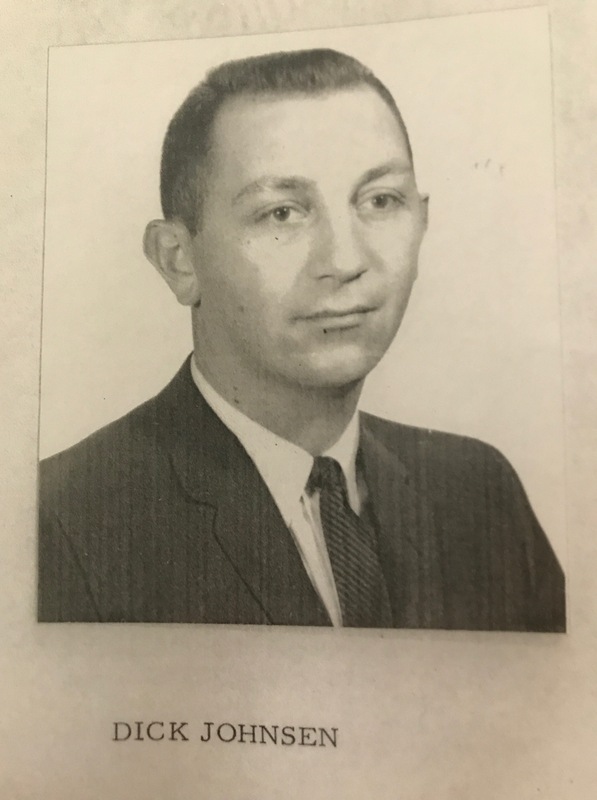 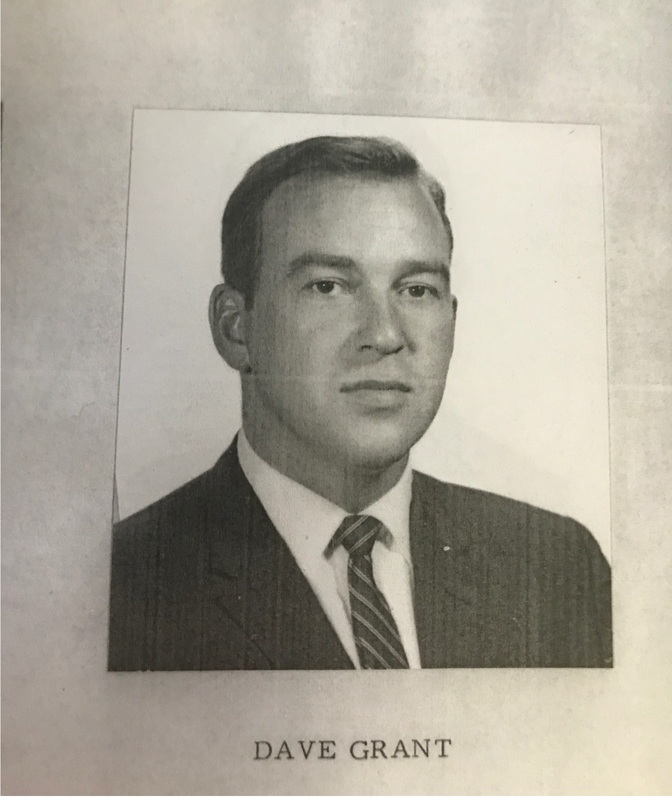 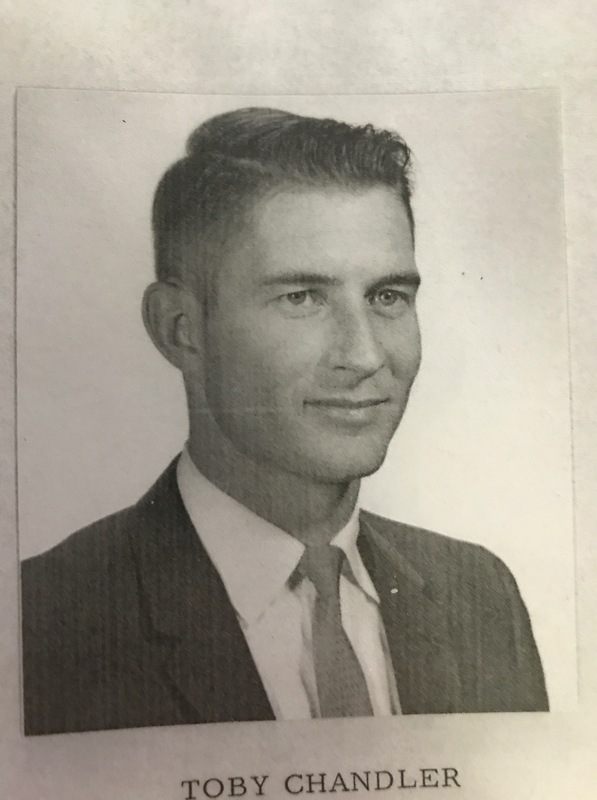 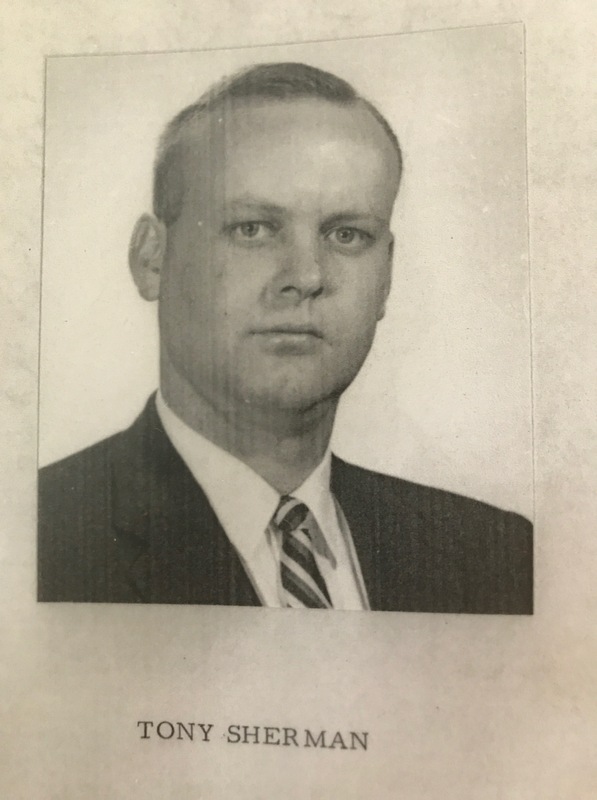 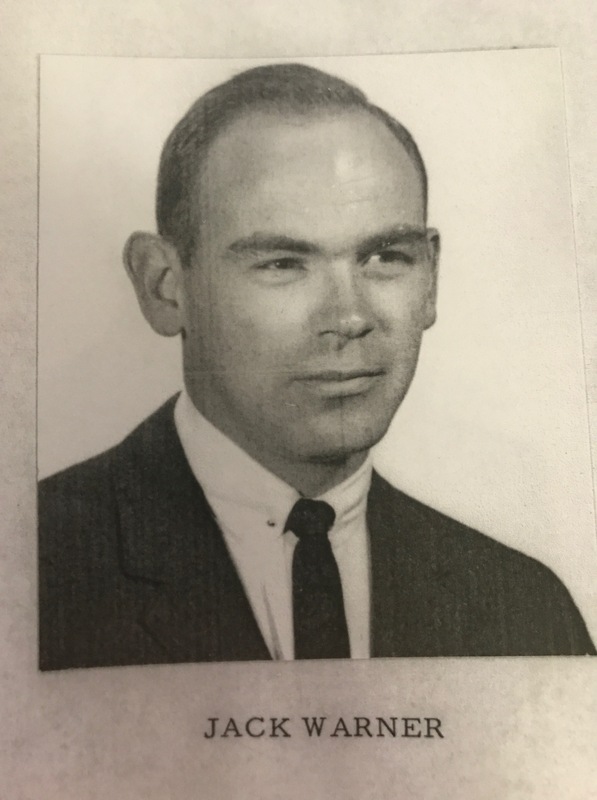 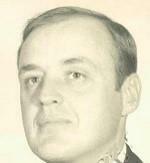 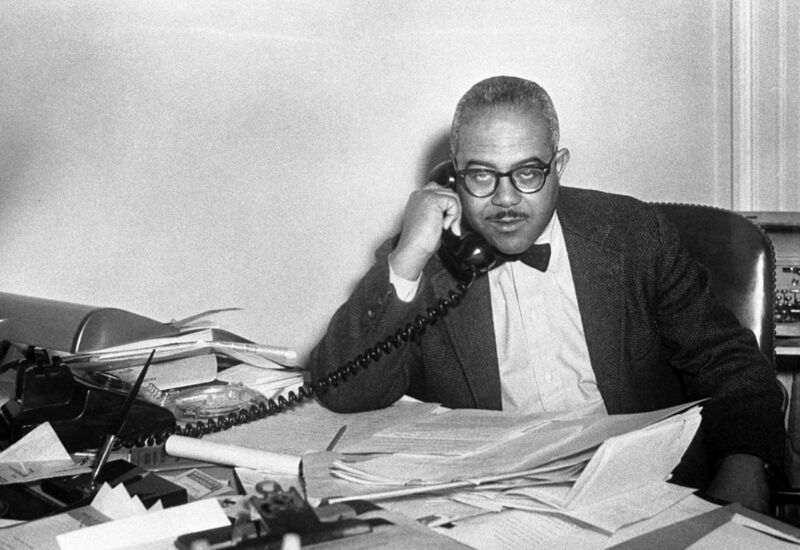 Paterni replaced Russell “Buck” Daniels as Deputy Director in early 1961. 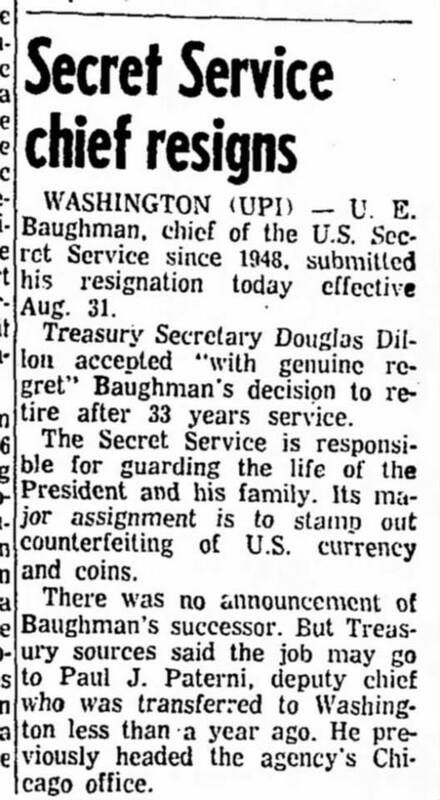 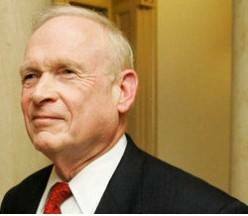 WHY was Baughman let go? 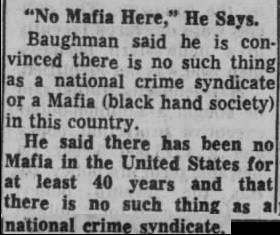 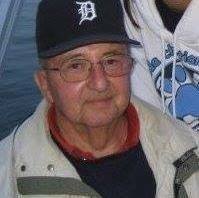 Because he was in direct conflict with the Kennedy brothers and their war on Organized Crime- he thought (like FBI Director J. Edgar Hoover) that the Mafia did not exist! 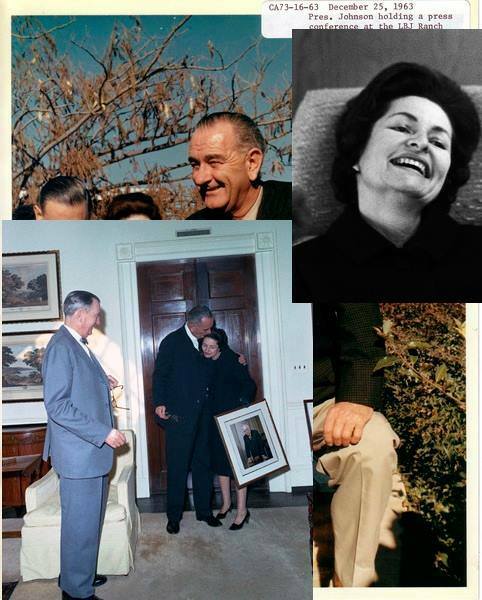 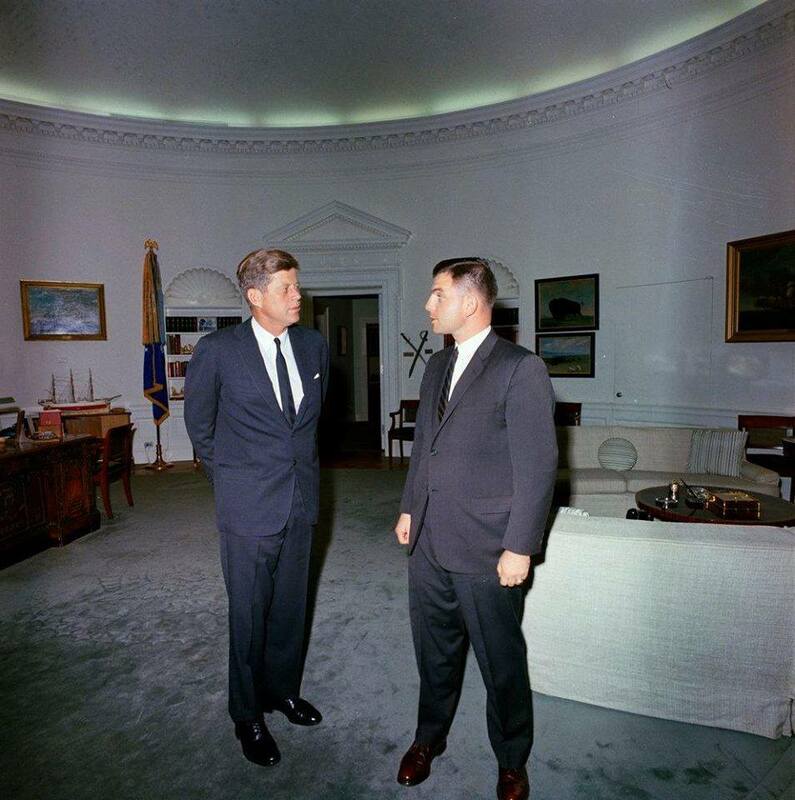 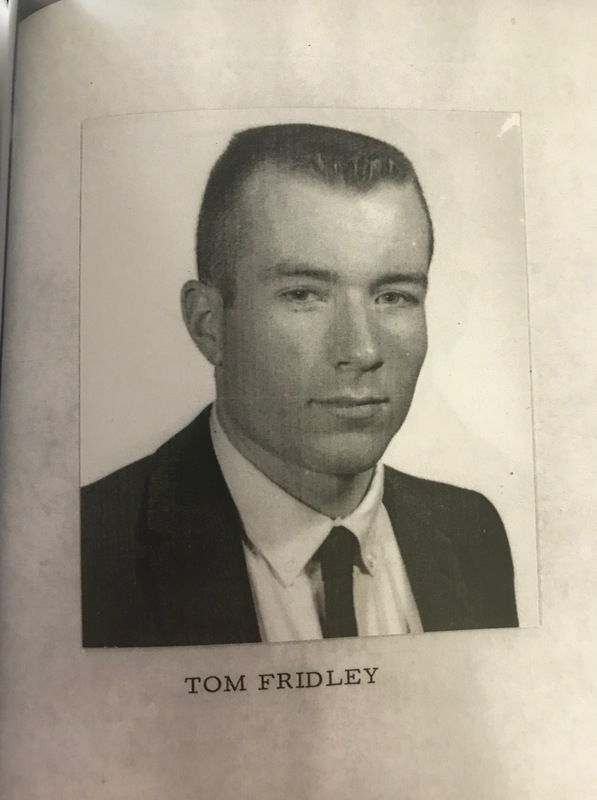 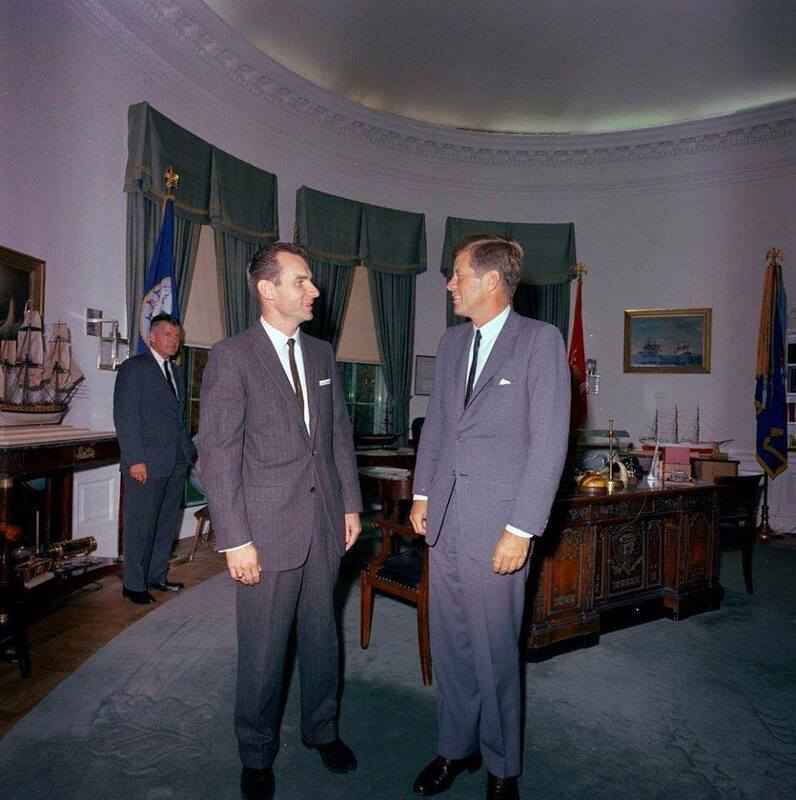 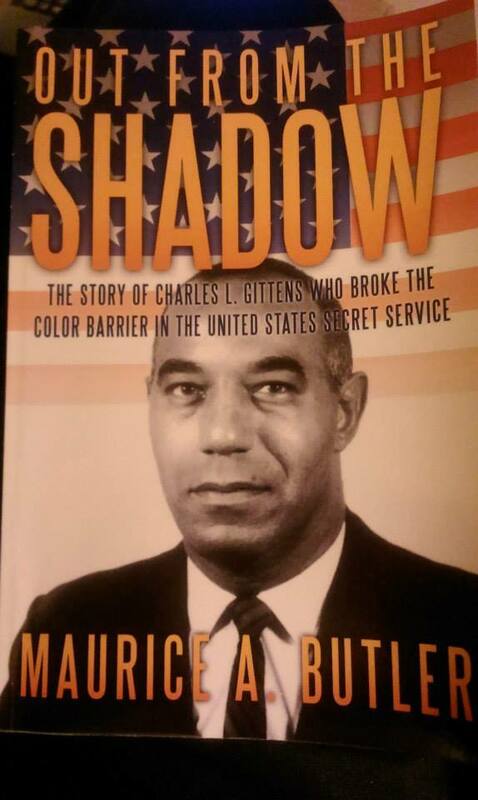 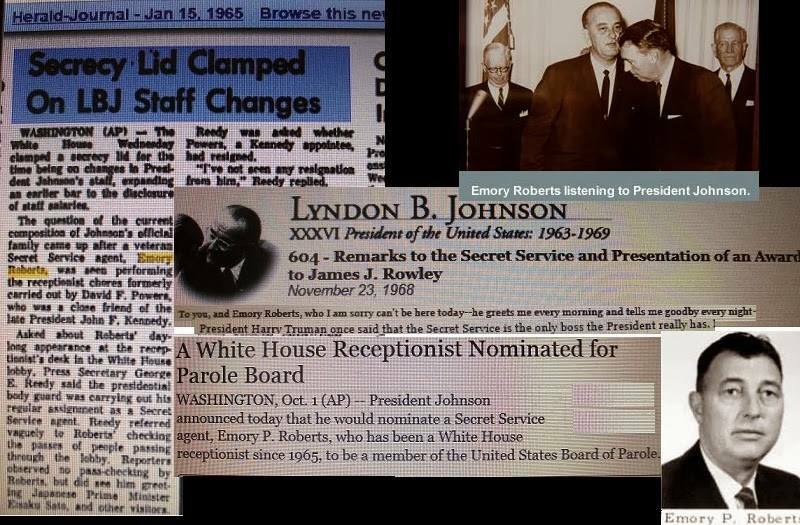 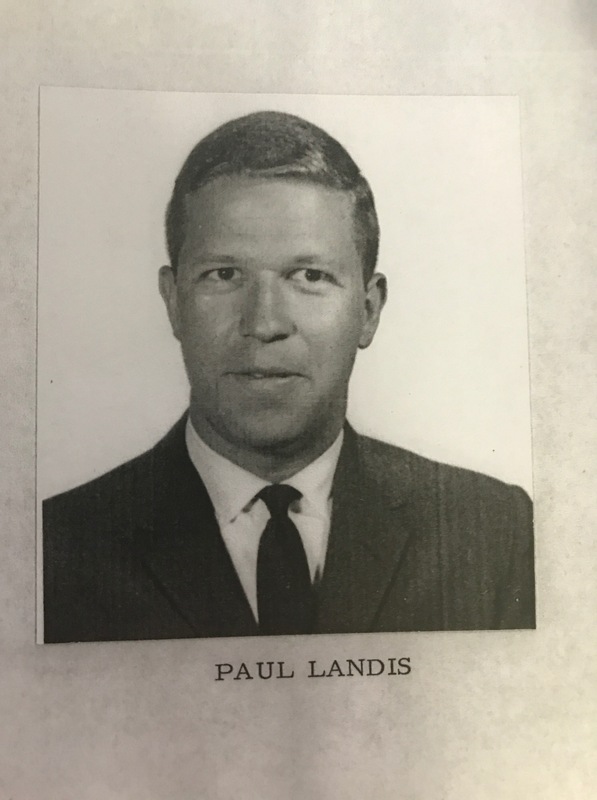 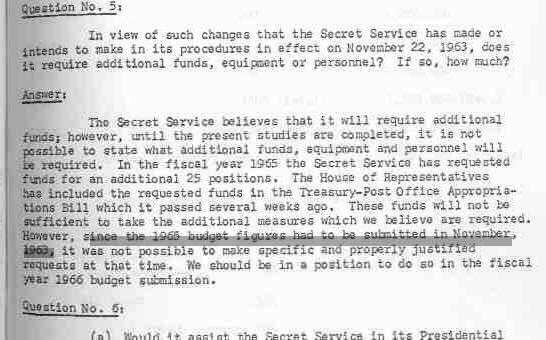 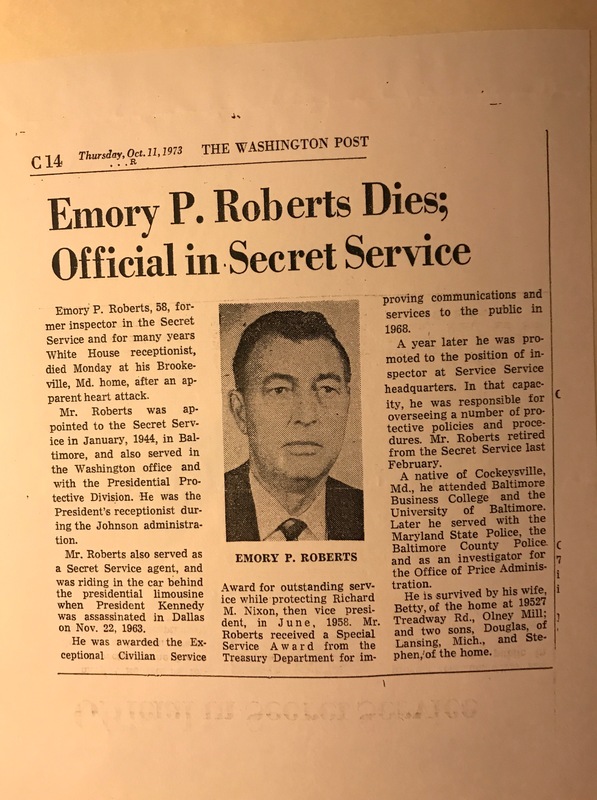 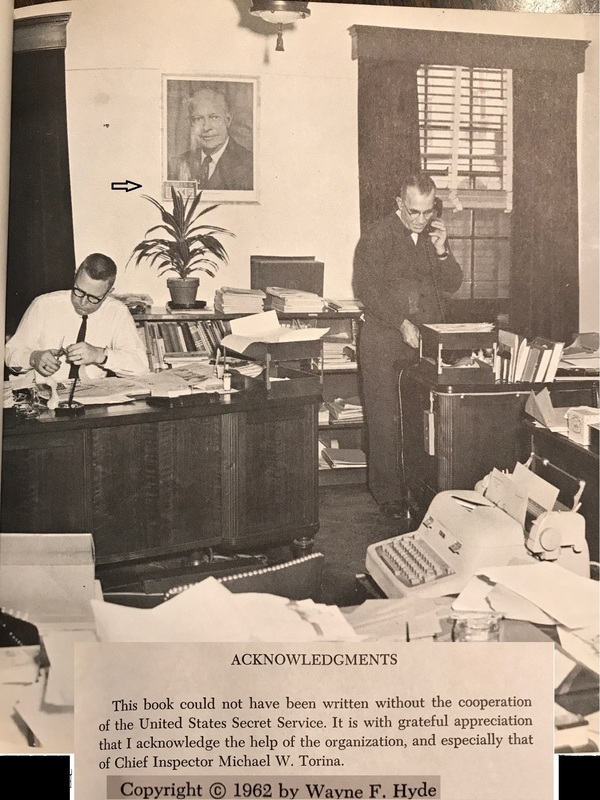 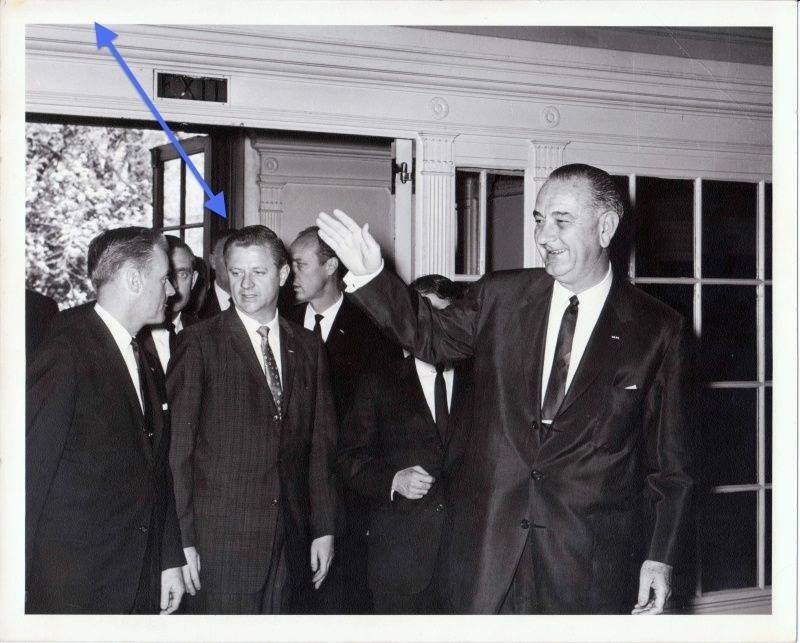 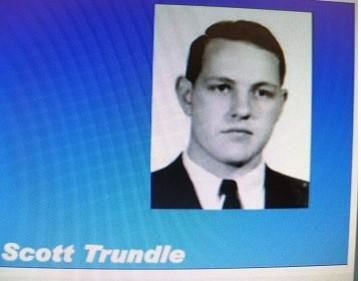 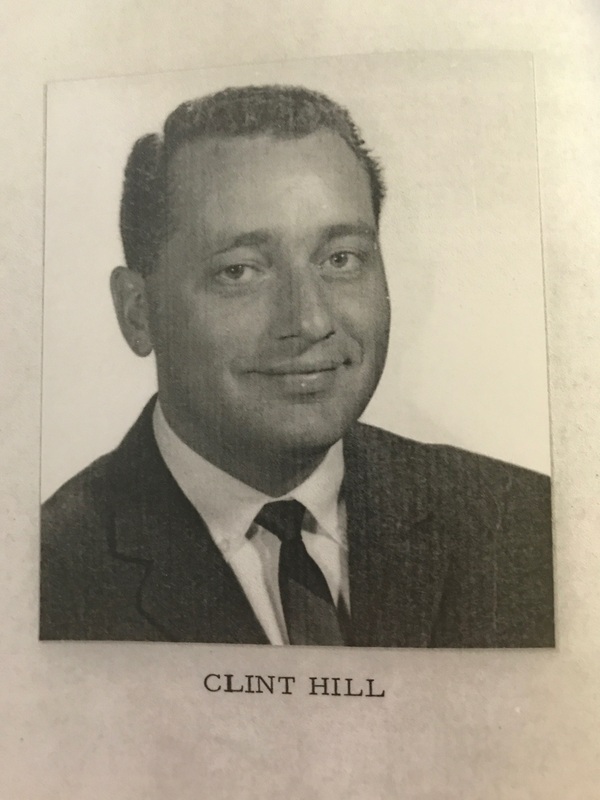 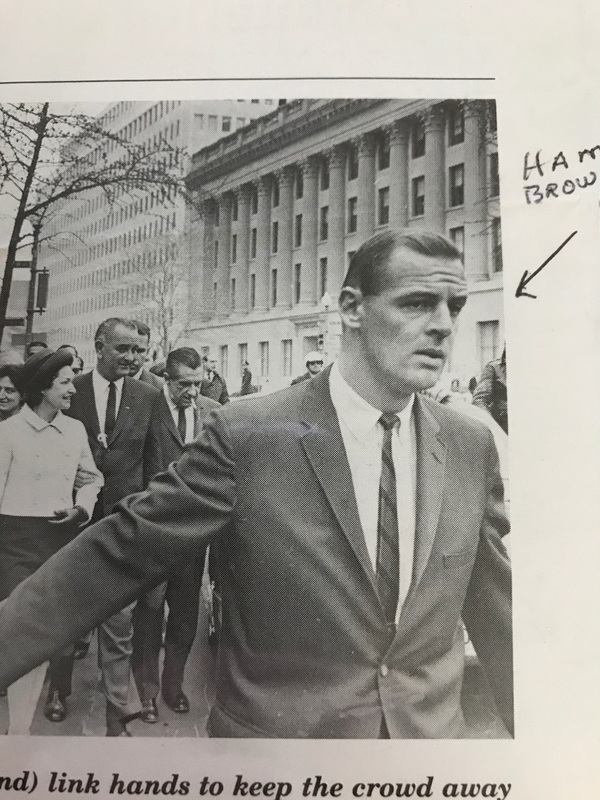 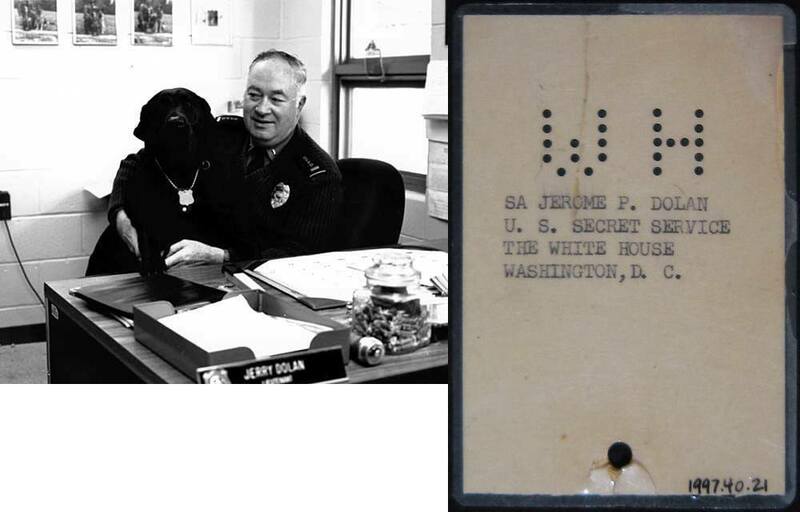 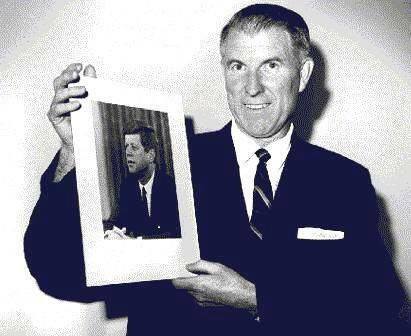 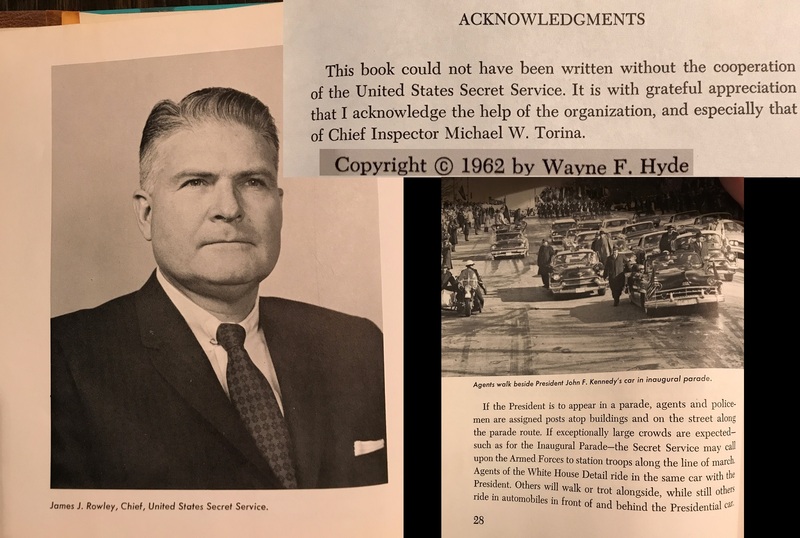 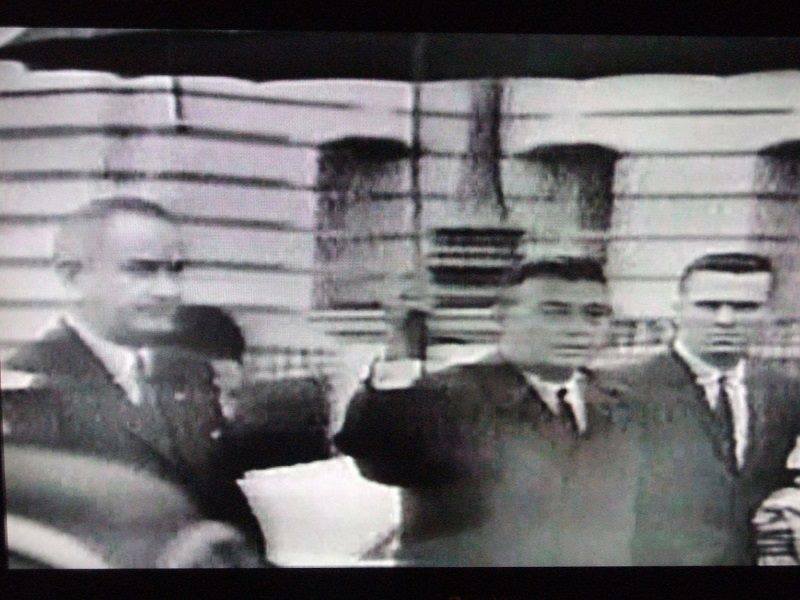 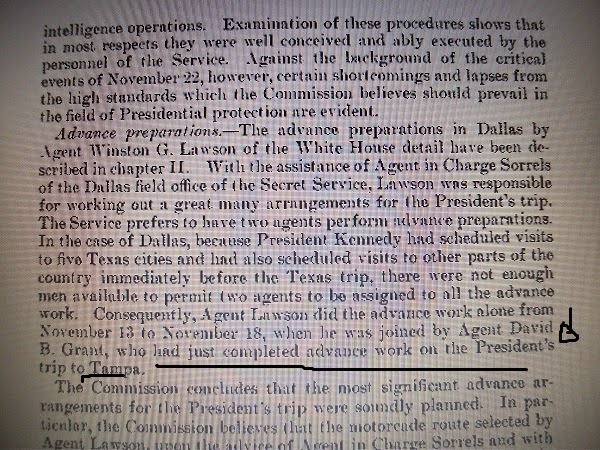 There must have been some form of animus at Secret Service headquarters during the JFK administration, as well- it is common procedure and protocol to have the current president’s portrait on the wall, yet a photo of headquarters from the 1962 book What Does A Secret Service Agent Do by Wayne Hyde (written with the general help of the Secret Service and the specific cooperation of Chief Inspector Michael Torina and Chief James Rowley) shows not only a photo of Ike but a derogatory “I Miss Ike” sticker on the bottom of Ike’s portrait! 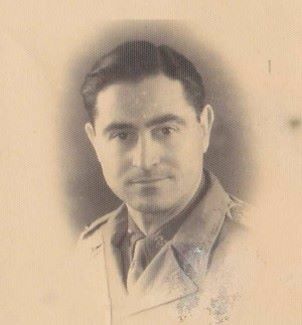 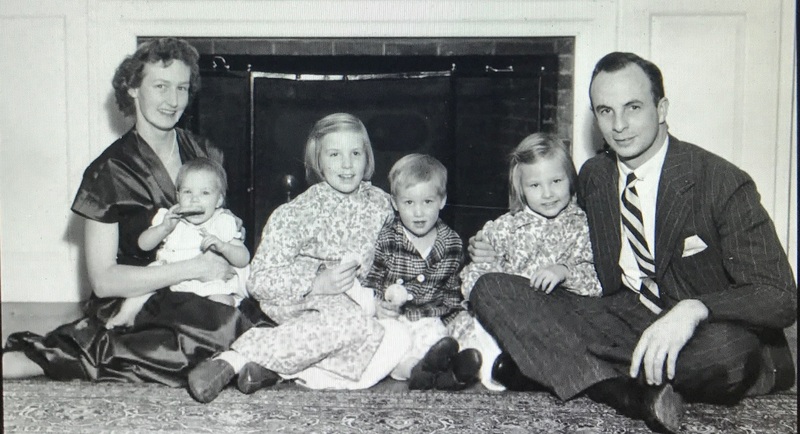 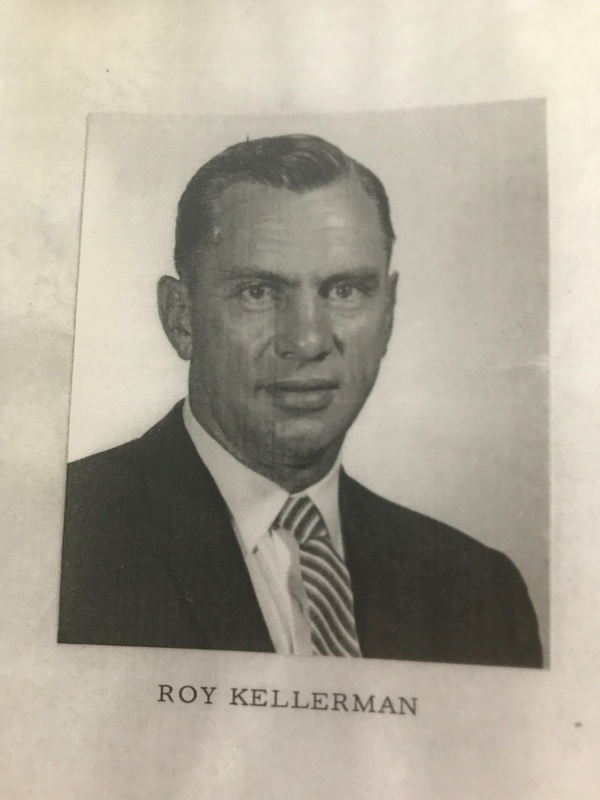 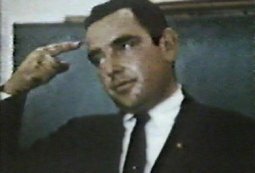 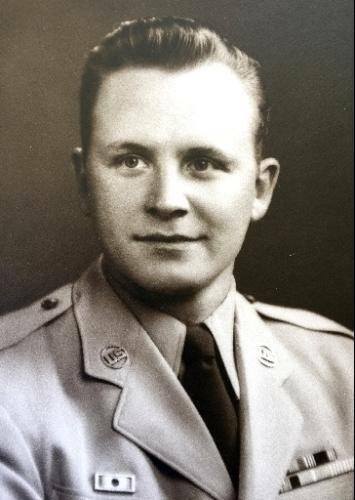 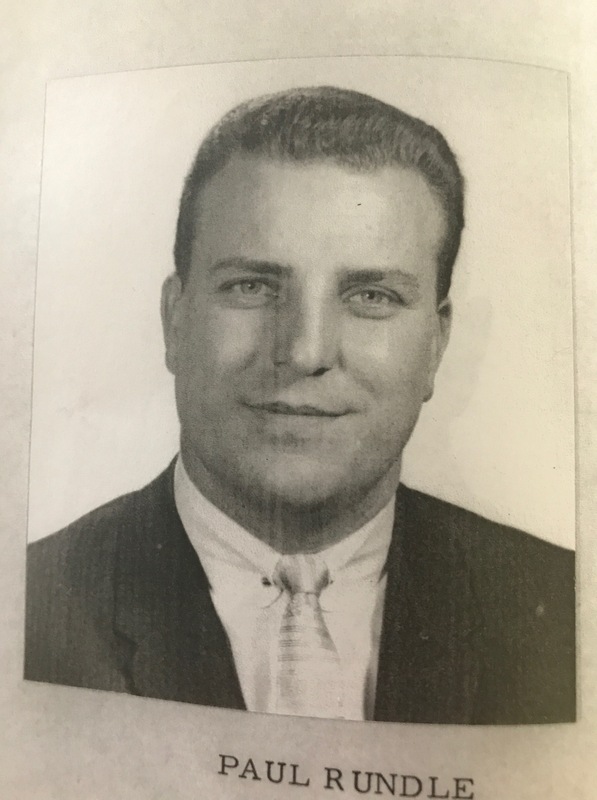 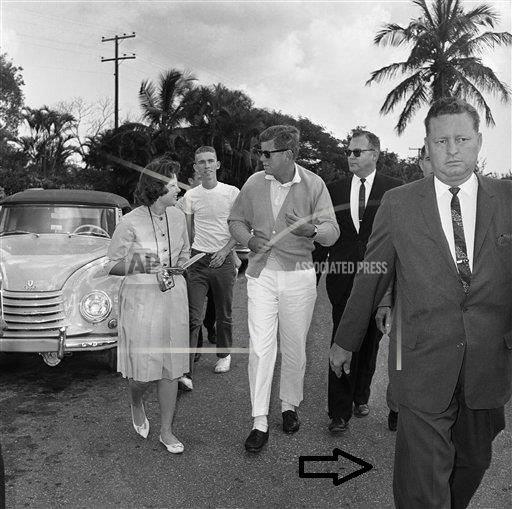 ASAIC Roy Kellerman, a third stringer who proved totally ineffective during and after the assassination, was making one of his first major trips on his own without either Behn or Boring! 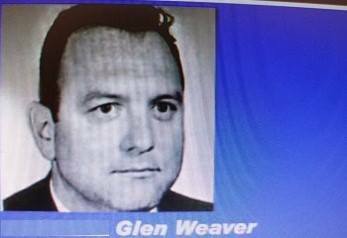 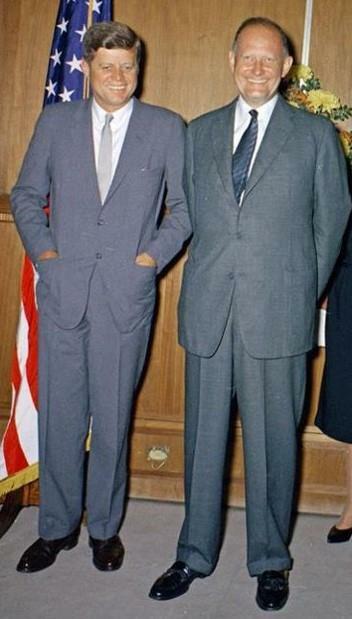 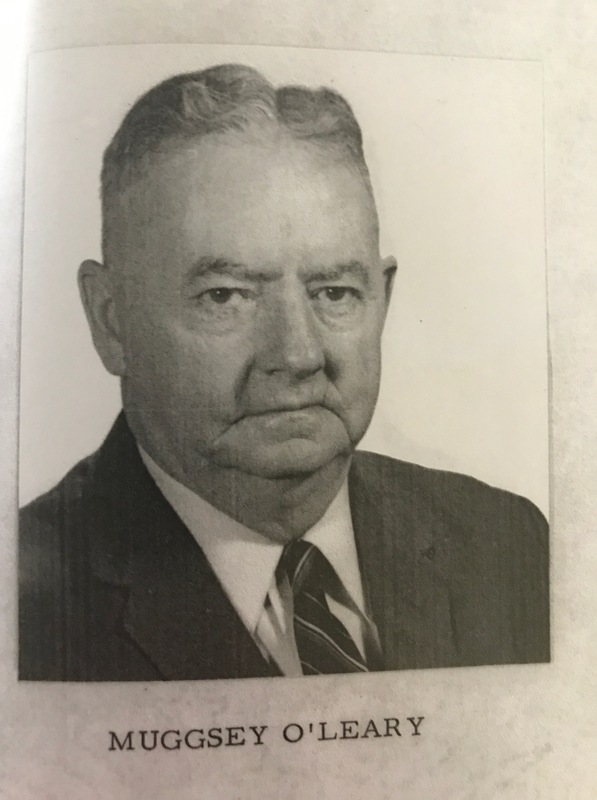 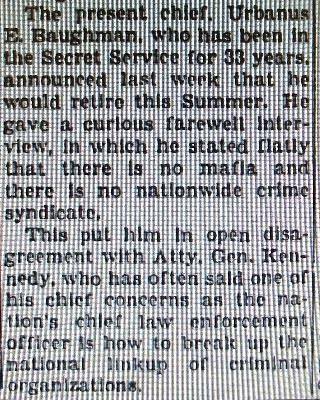 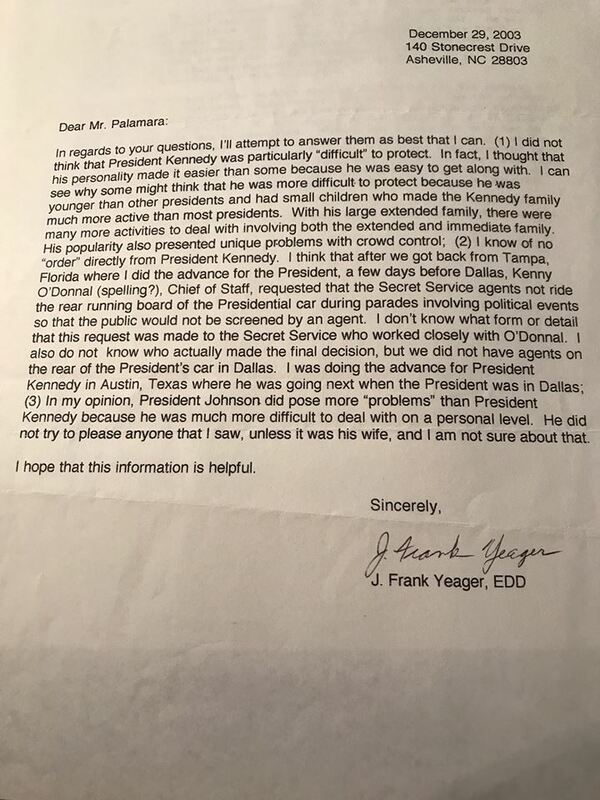 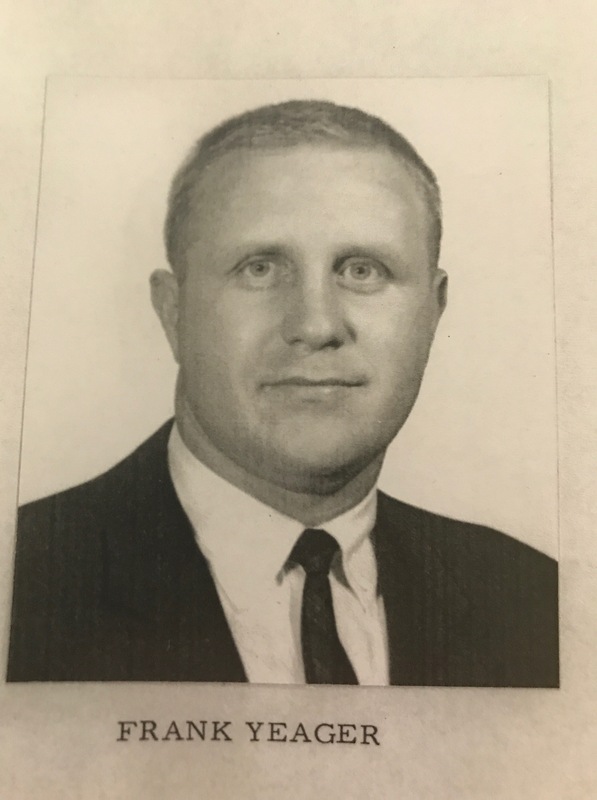 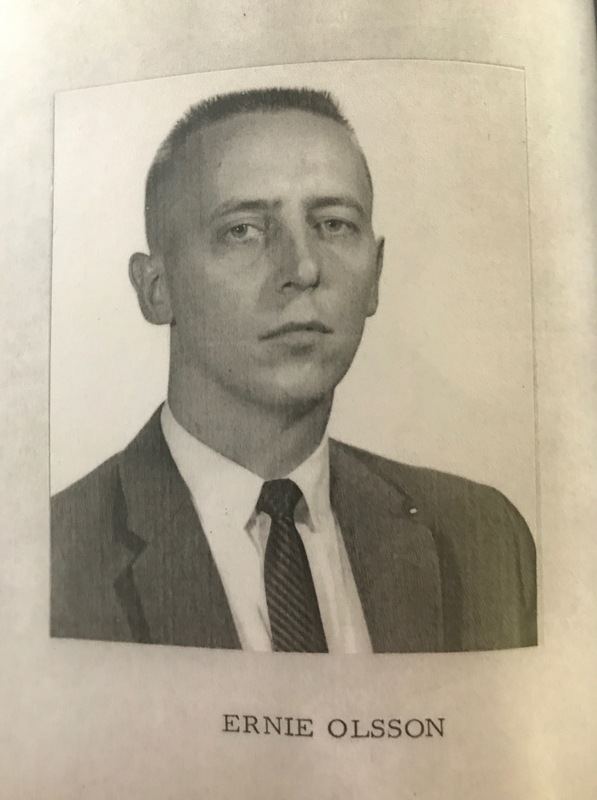 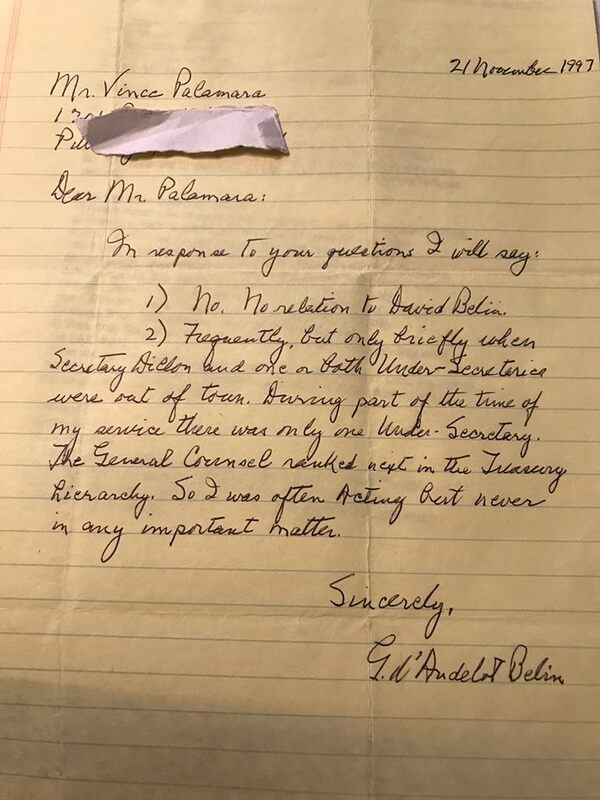 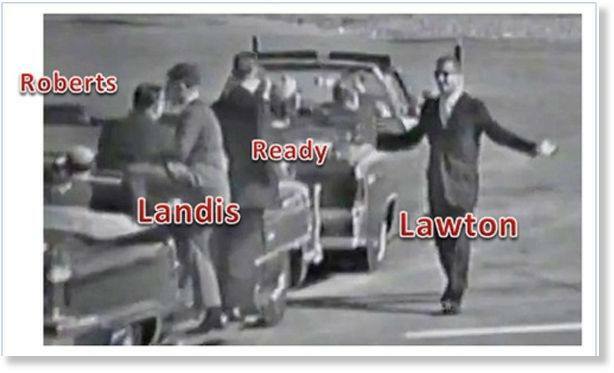 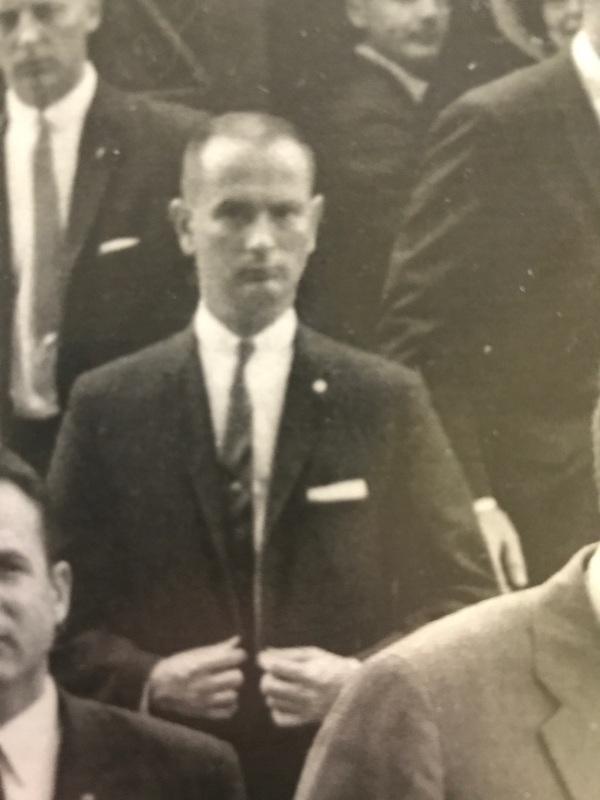 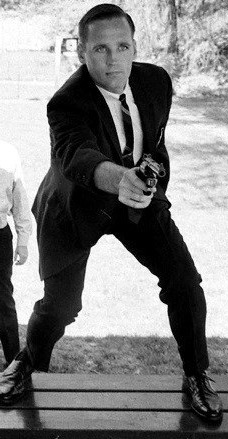 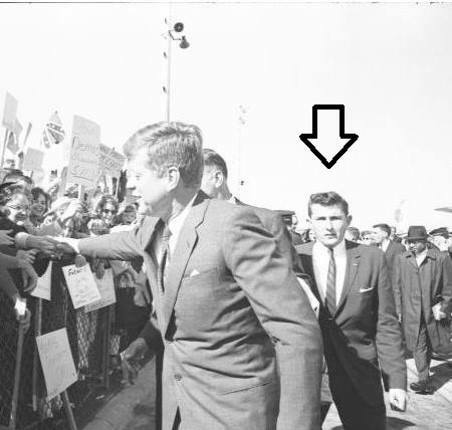 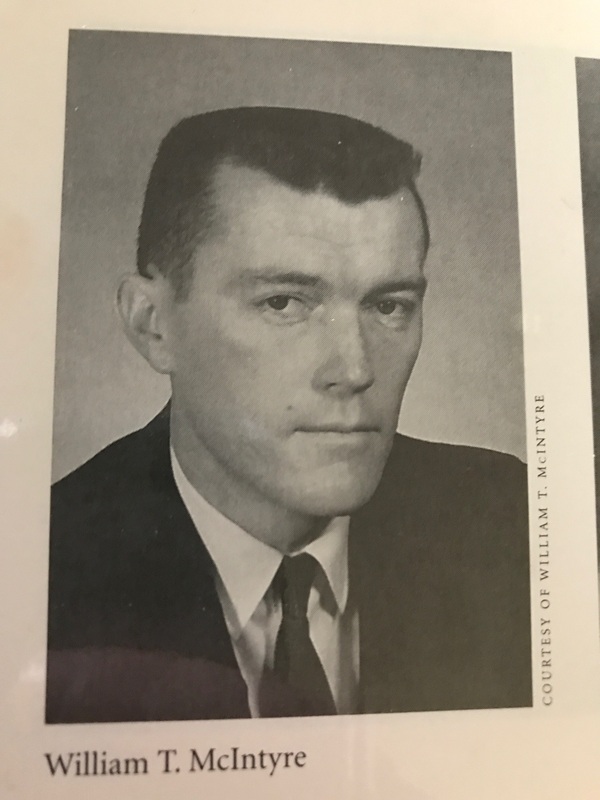 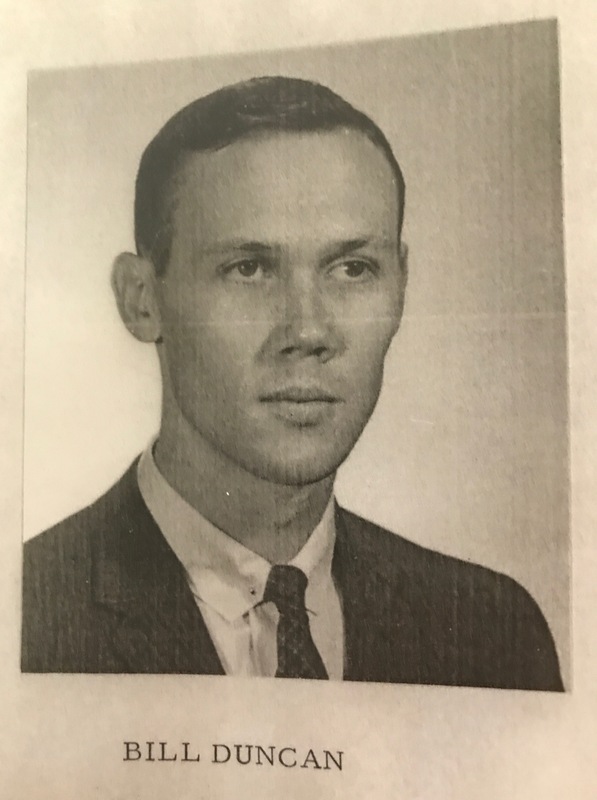 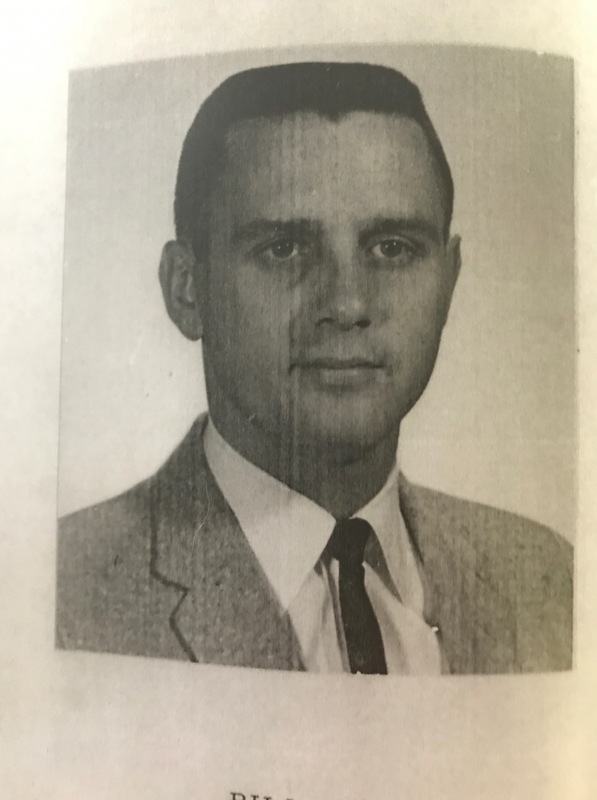 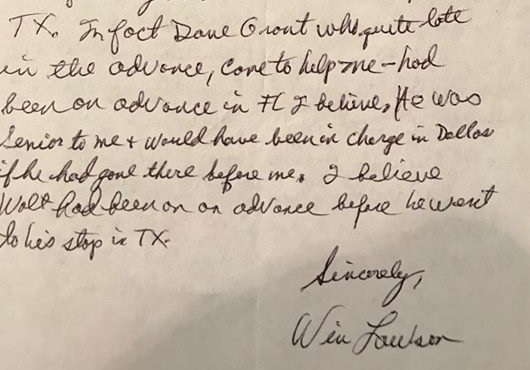 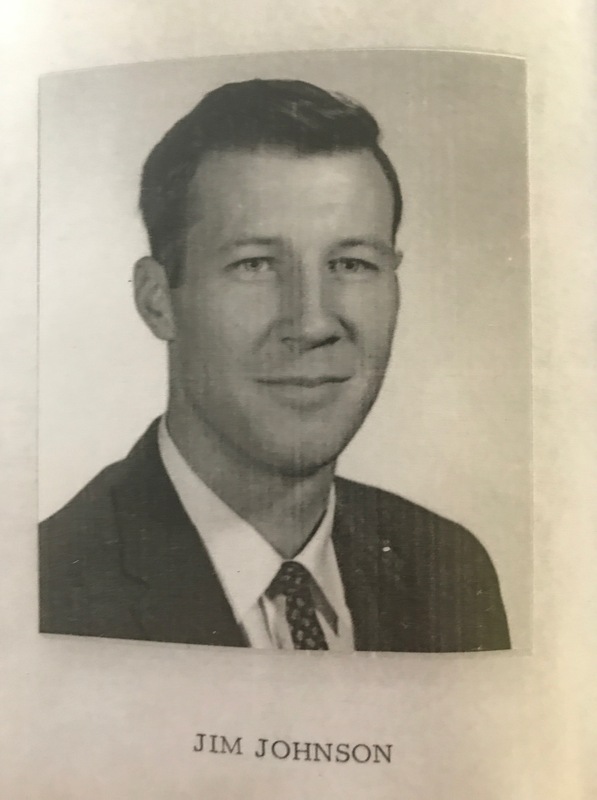 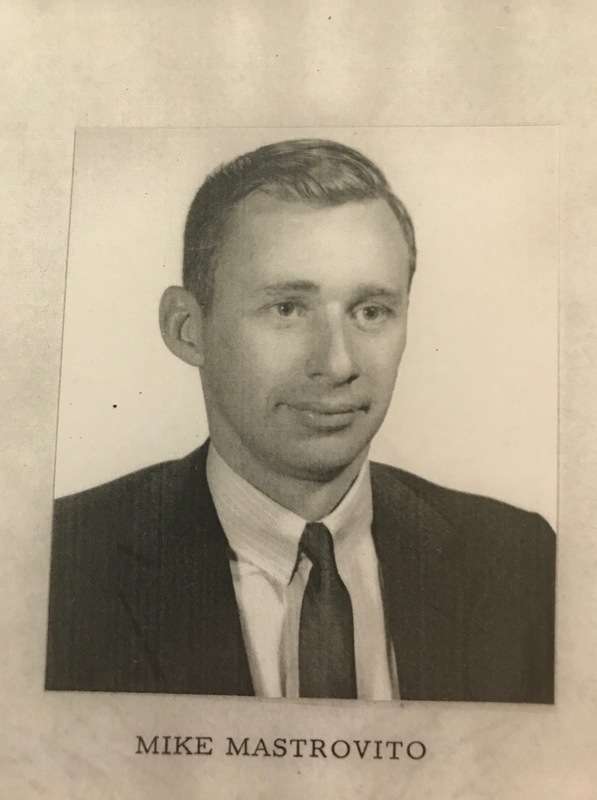 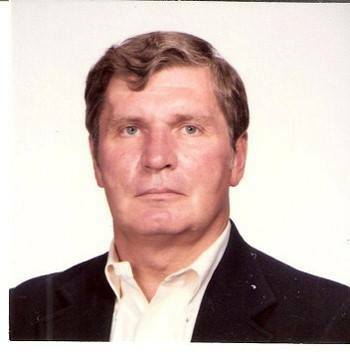 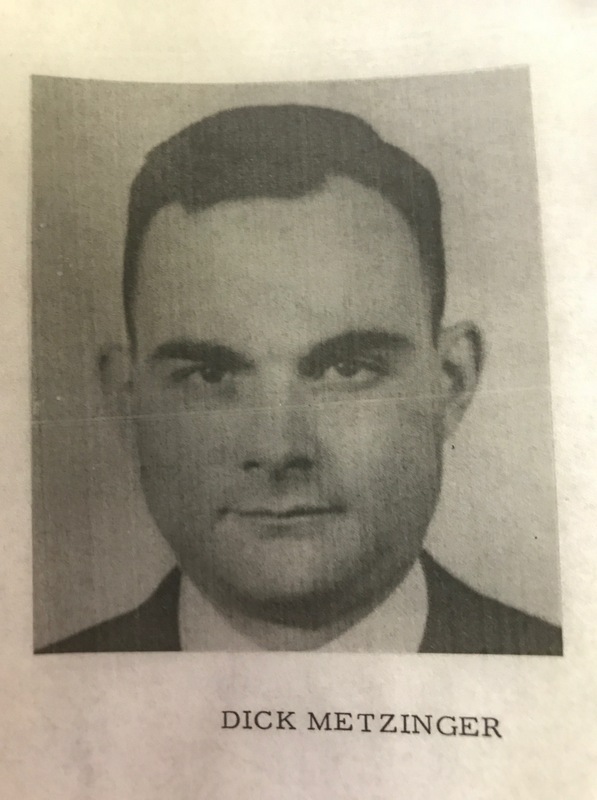 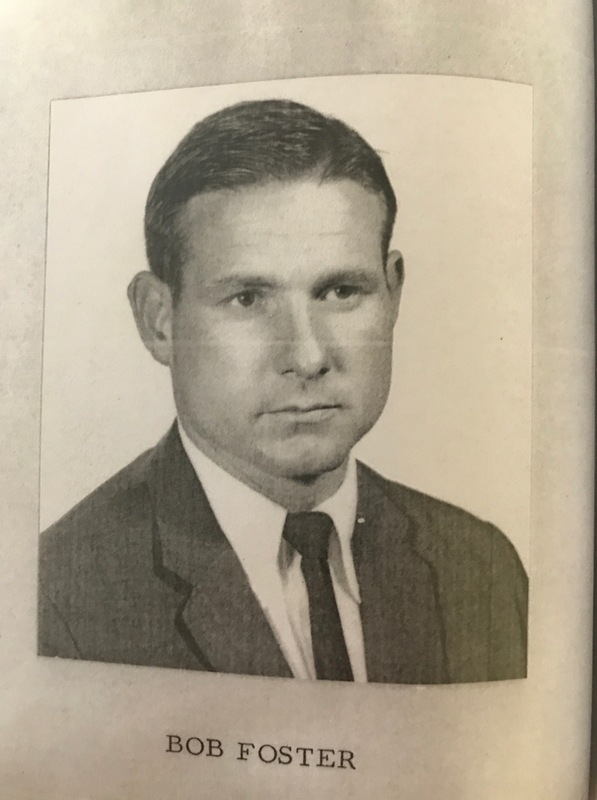 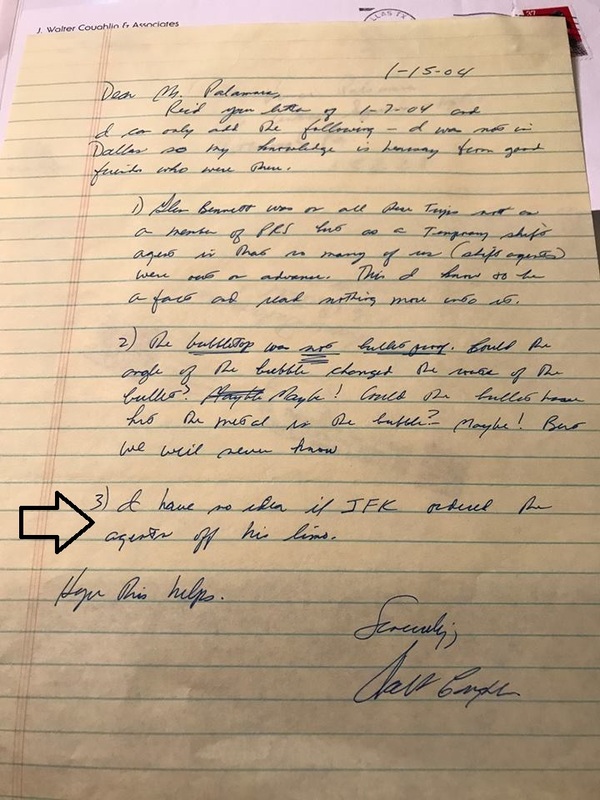 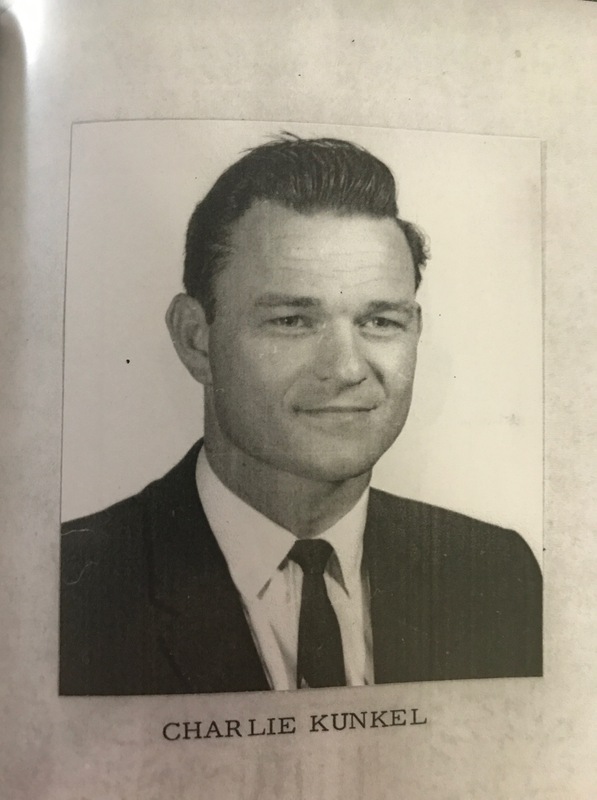 Interestingly, Yeager did not think JFK was difficult to protect and seems to imply (like O’Rourke and Pontius) that O’Donnell had something to do with the agents not being on the car in Dallas, yet the agents who testified and wrote reports to the Warren Commission (and Blaine and Hill in their books) never blamed him for anything, while Powers denied there was any truth to JFK ordering the agents off his limo. 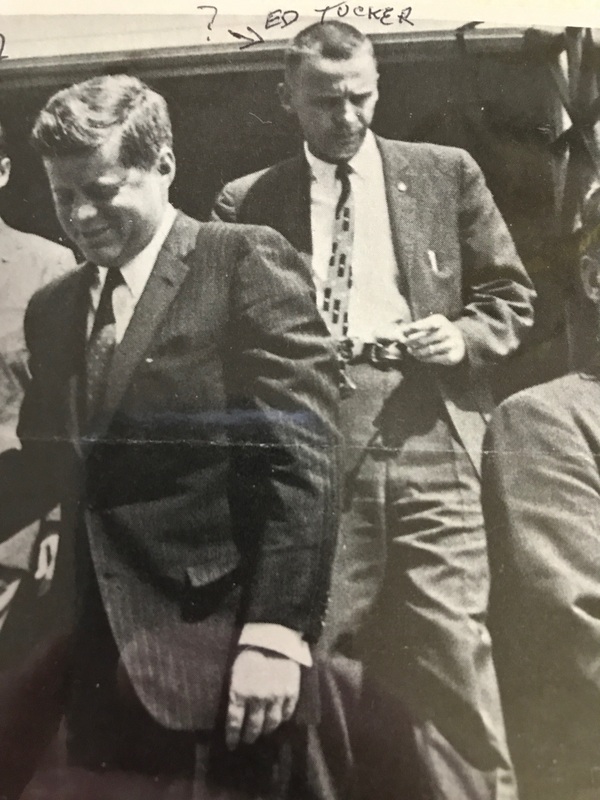 As with Kellerman, another third stringer, Mac Kilduff, was on the trip, making his first major trip on his own!